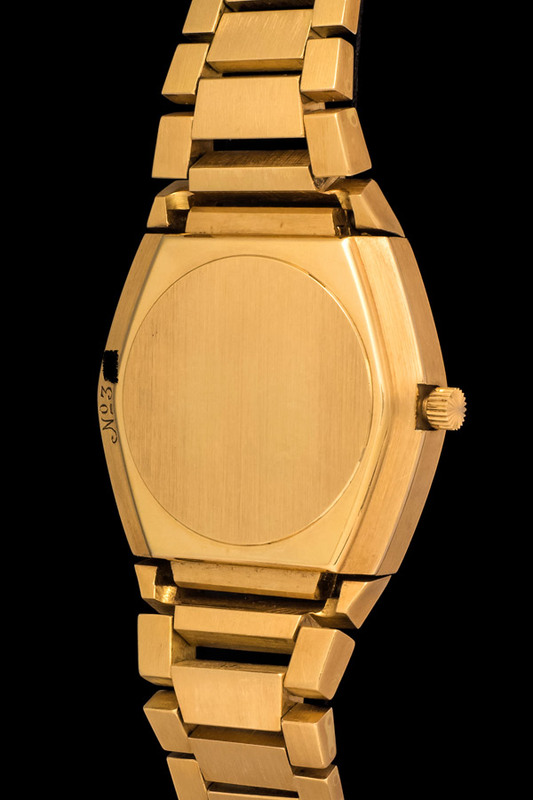 In 1962, a consortium of 21 of the Swiss watch industry’s best brands came together to develop a high end electronic watch movement. 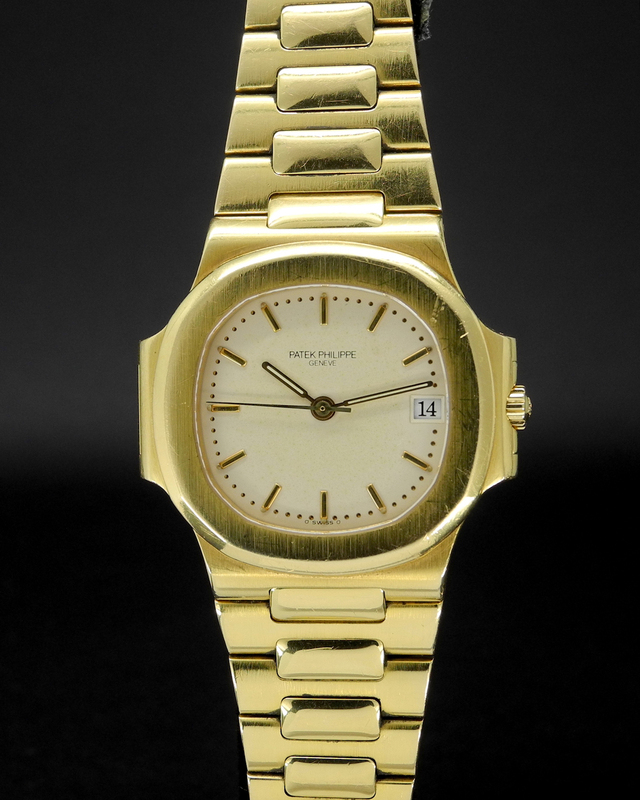 The group was called Centre Electronique Horloger. 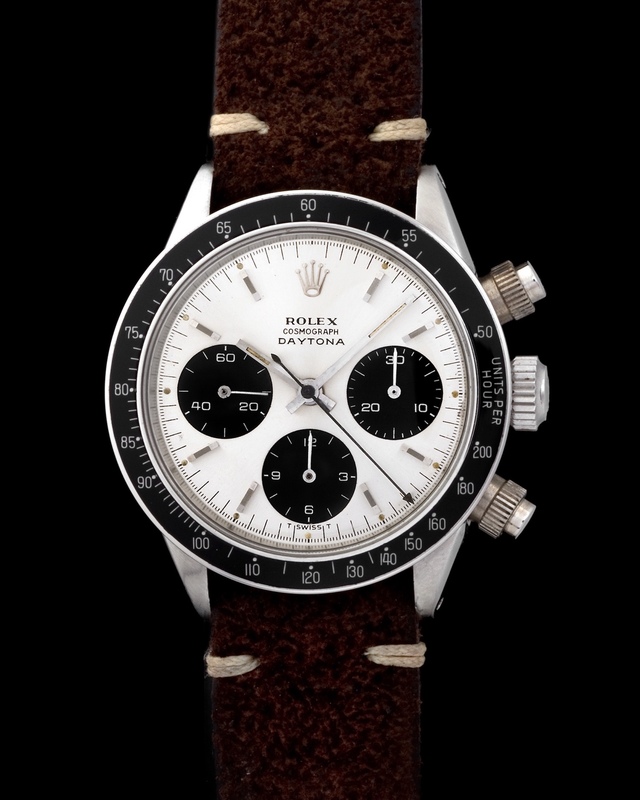 In 1967 their prototype was introduced. 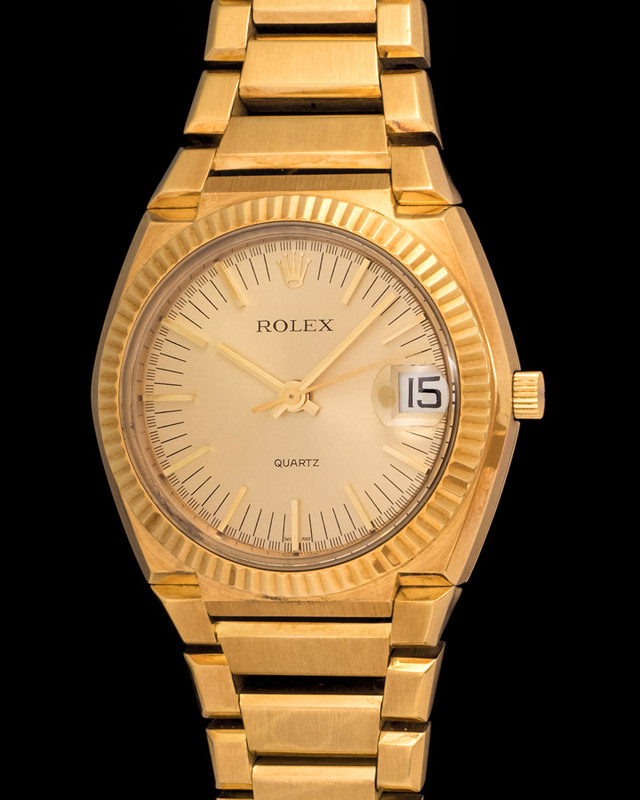 By 1969, the technology was perfected to the point that mass production of the electronic movement was started. 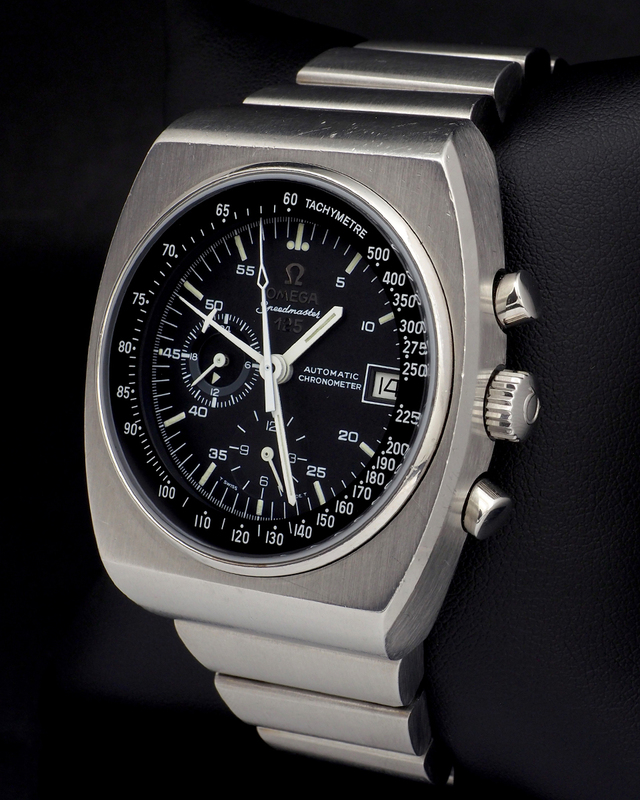 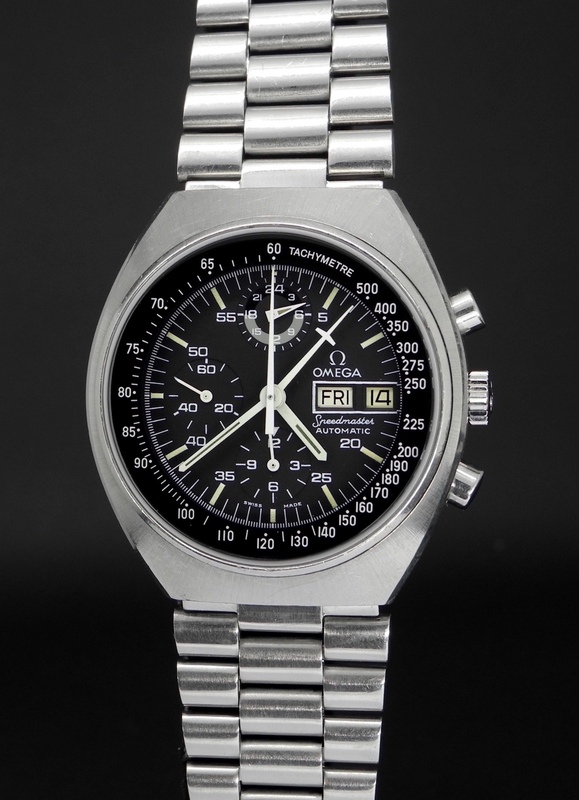 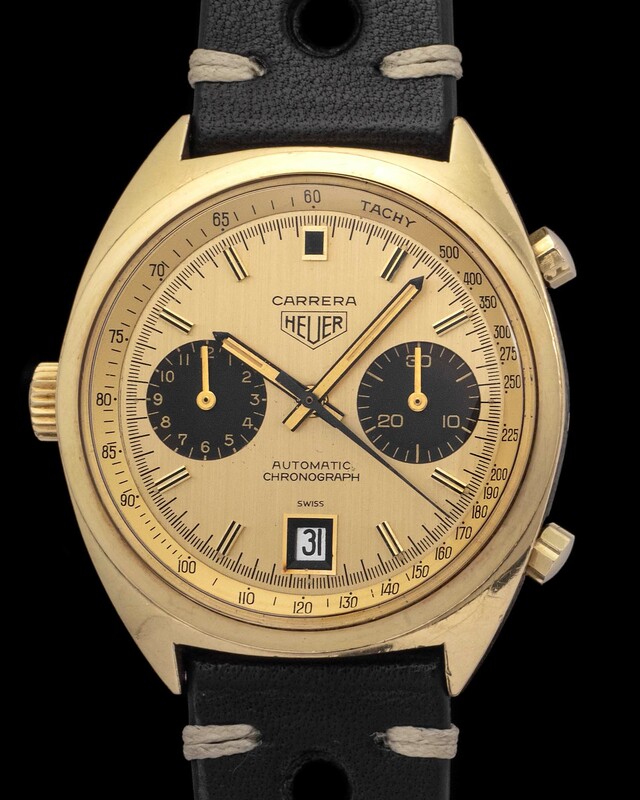 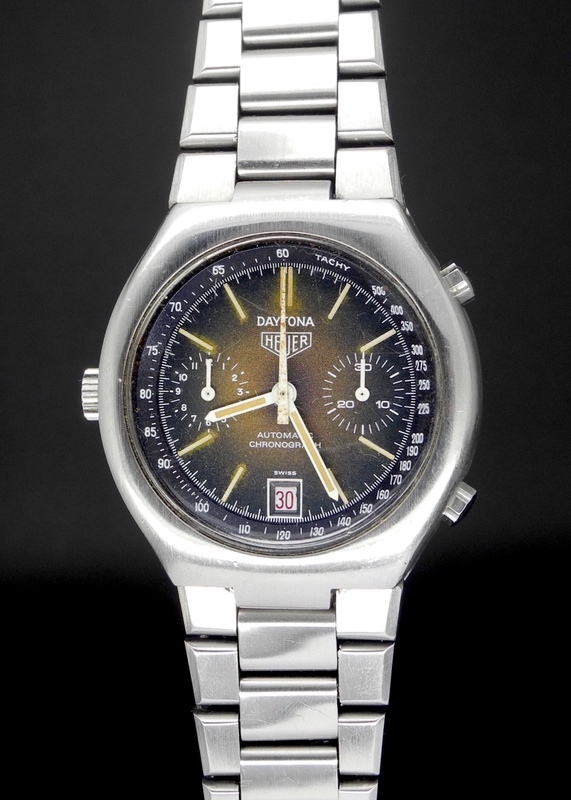 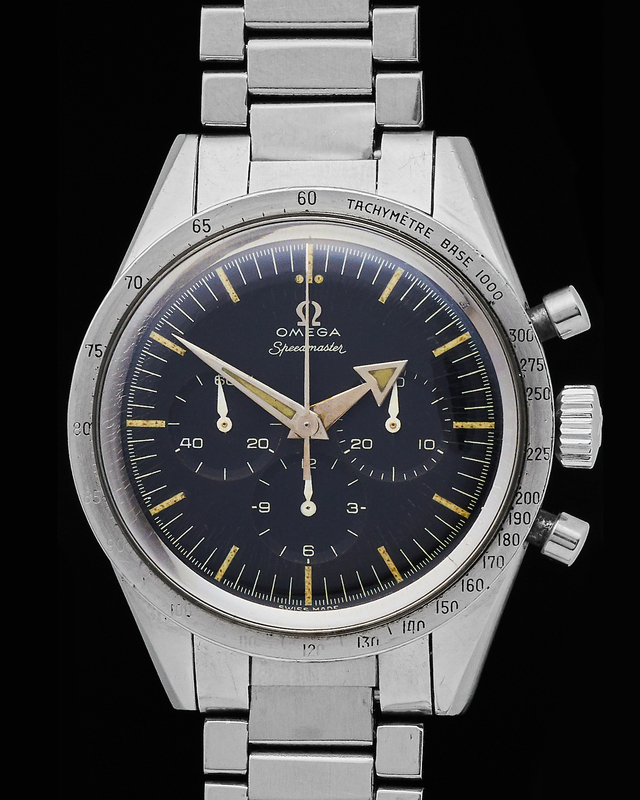 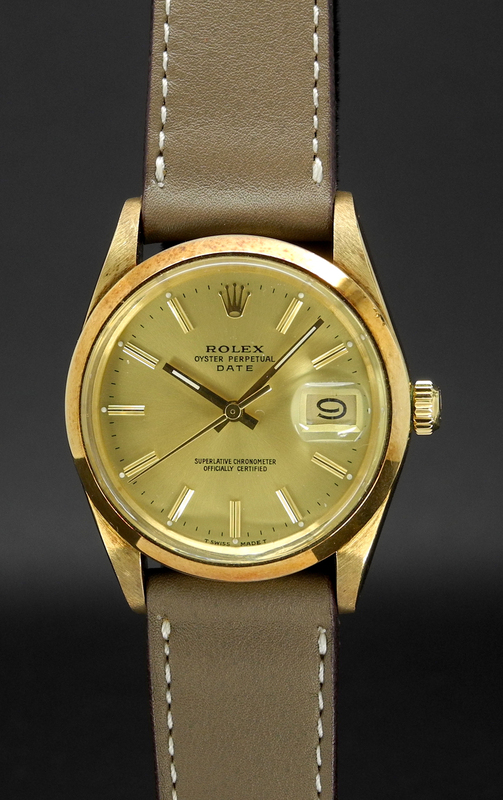 The movement made its public debut at the 1970 Basel Fair, and was subsequently used by several of the manufacturers originally involved in its conception, research and design and finally its production. 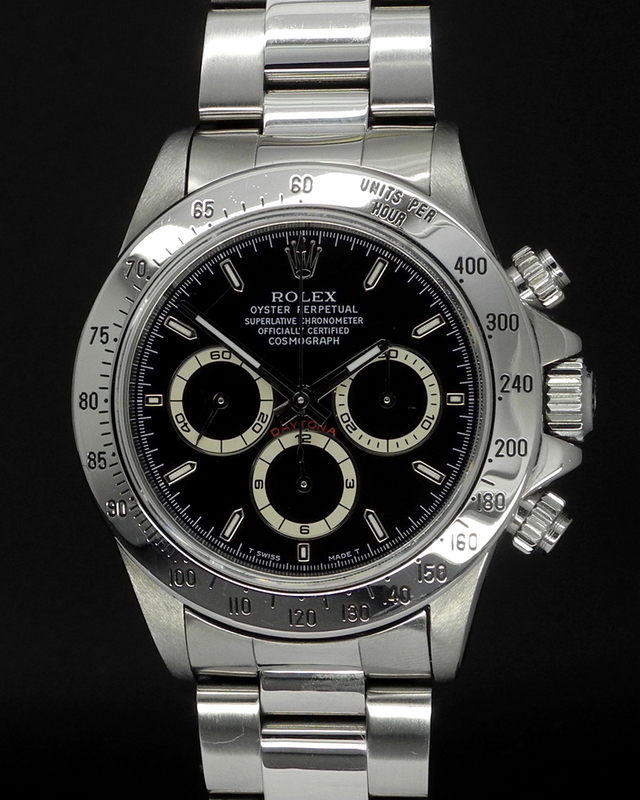 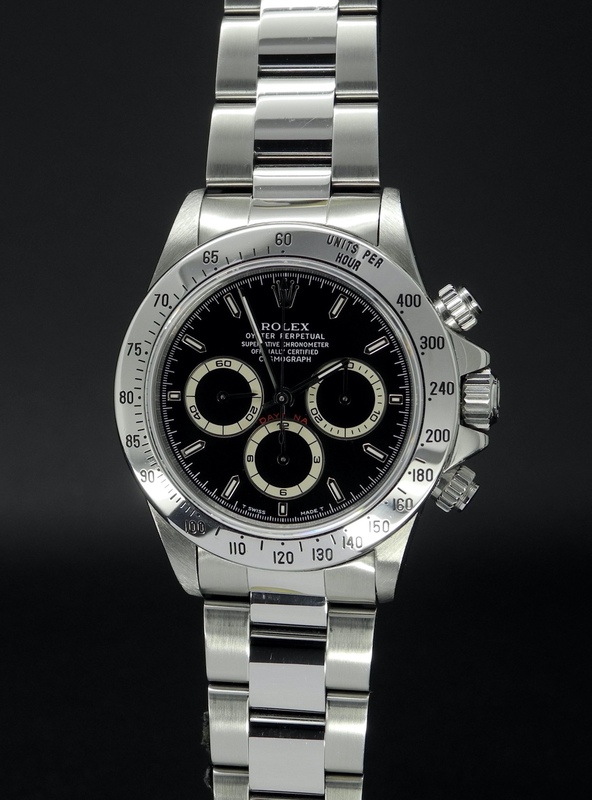 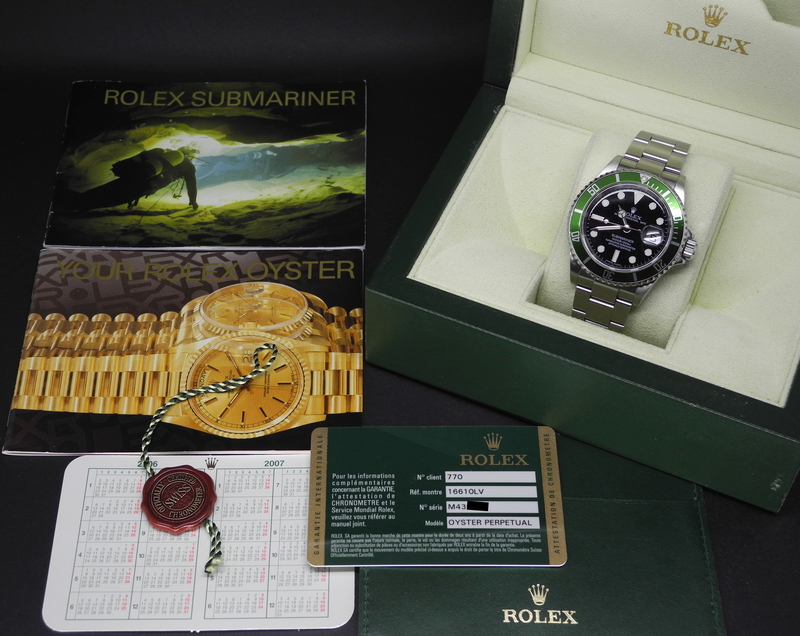 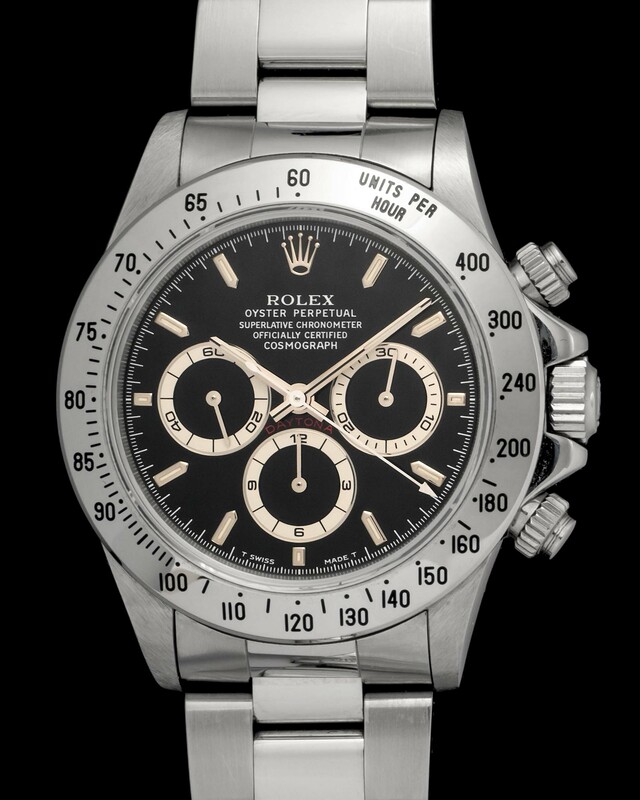 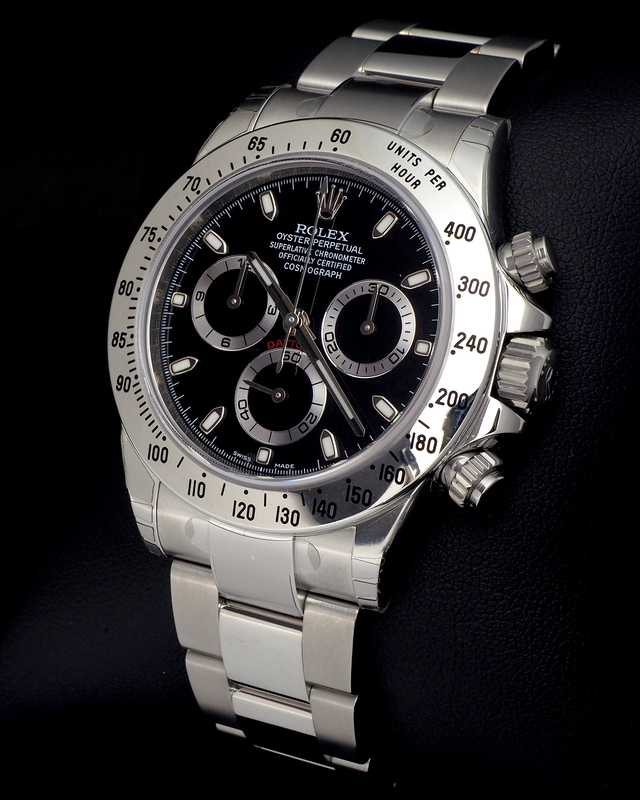 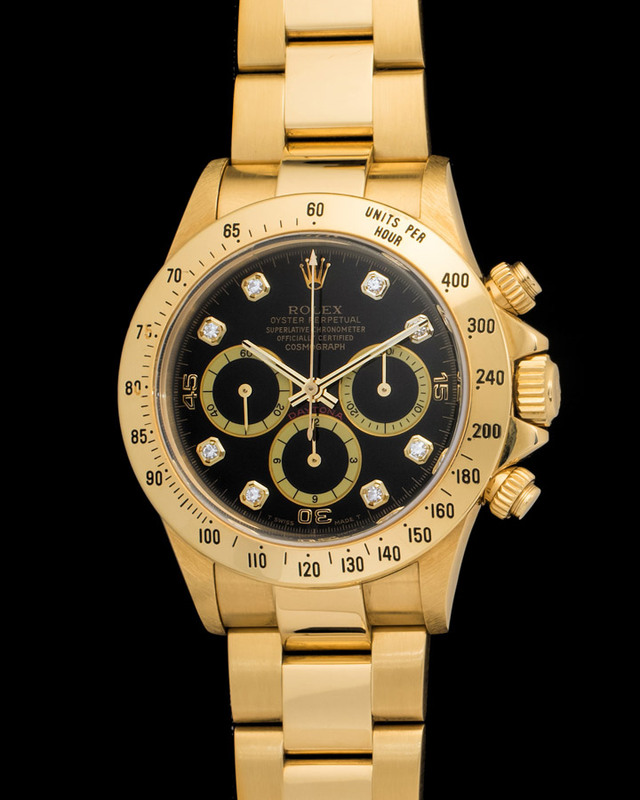 Rolex was apportioned approximately 1,000 Beta 21 movements. 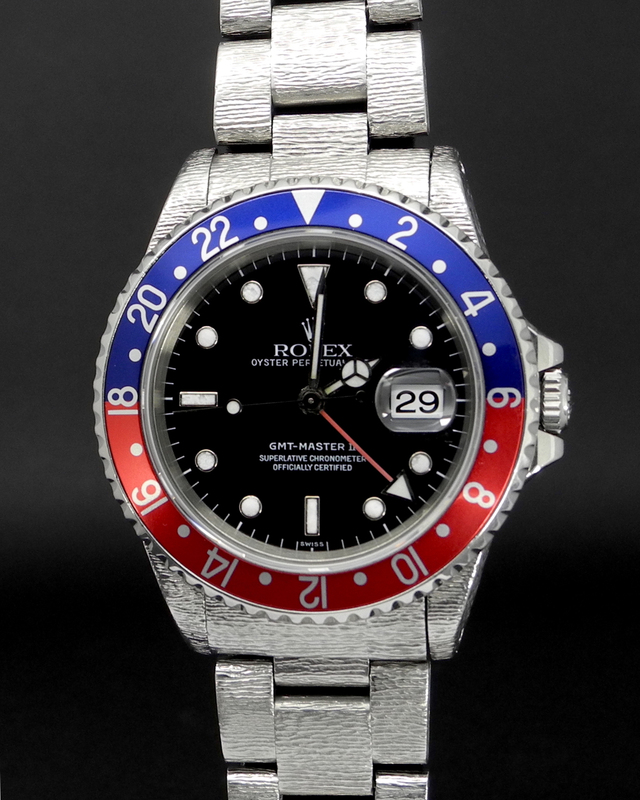 Not all of the movements were cased and sold, and the Beta 21 watches are rare. 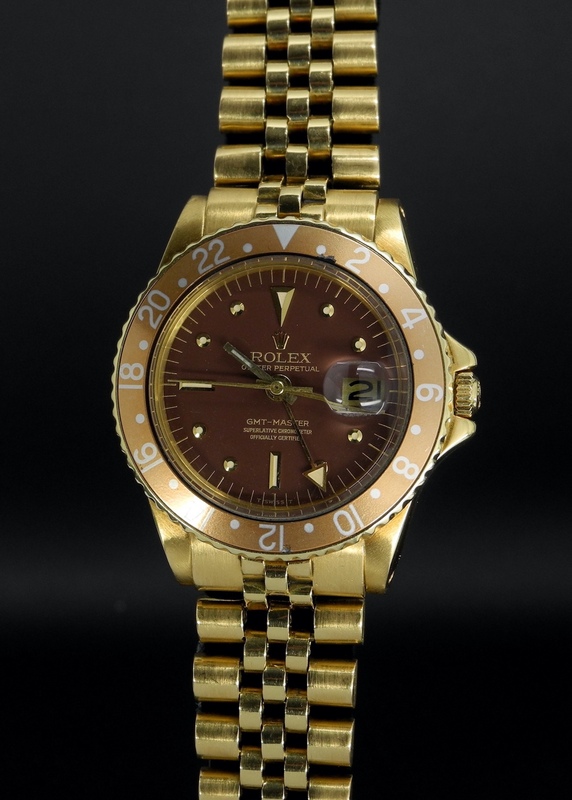 They have come to be nicknamed “Texano”. 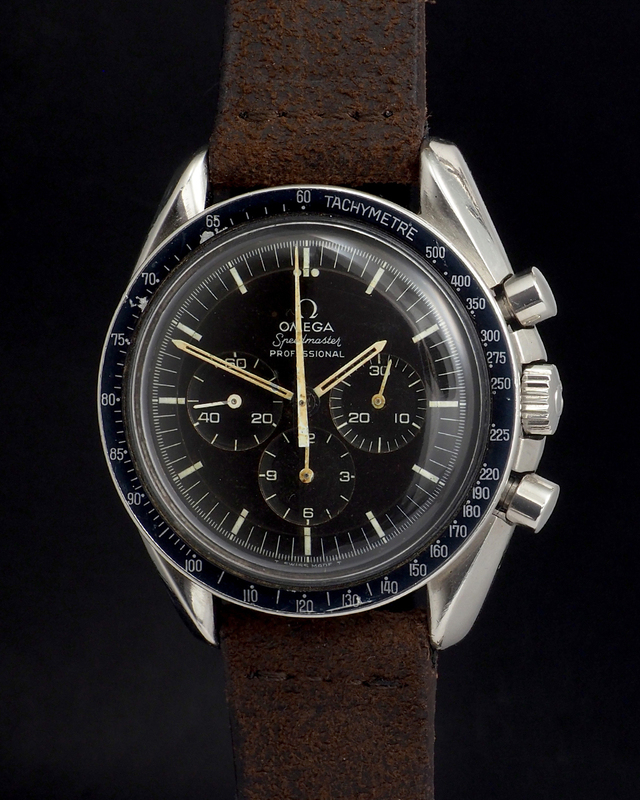 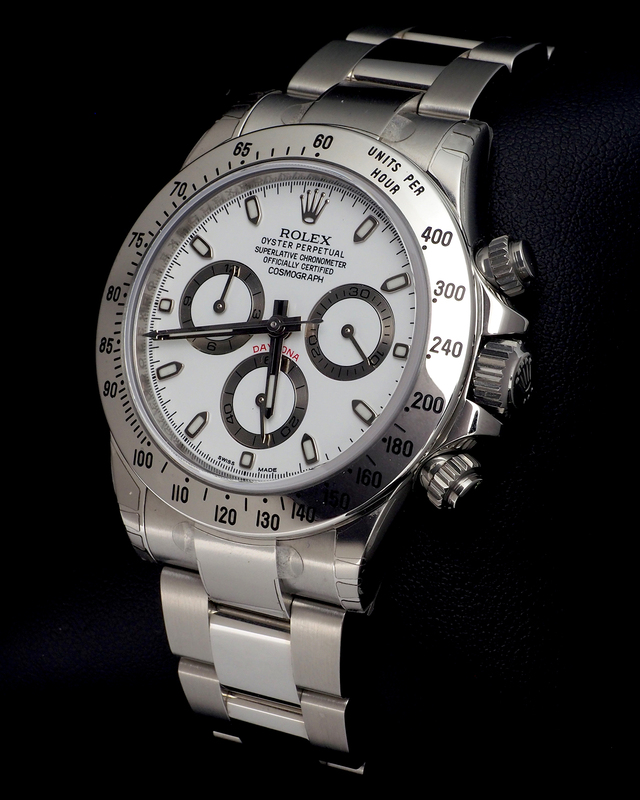 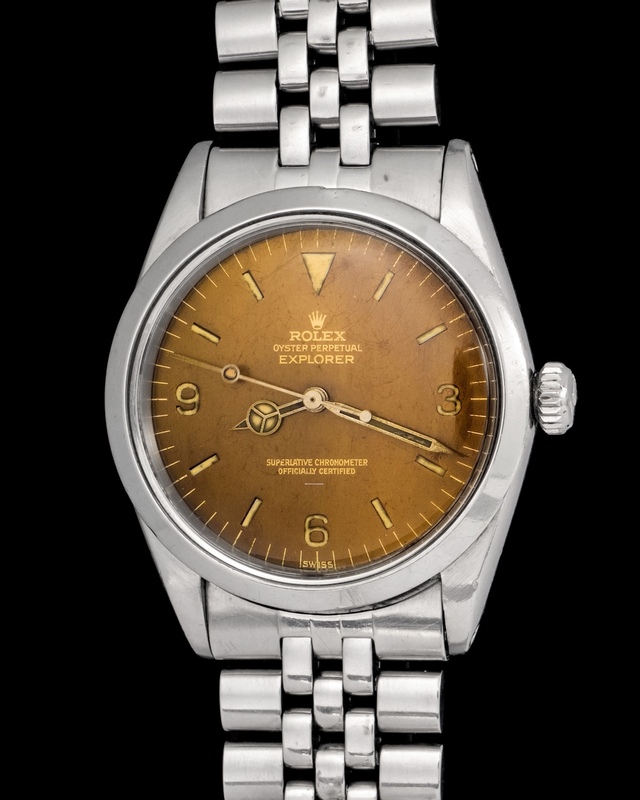 An important watch in Rolex’s history for sure. 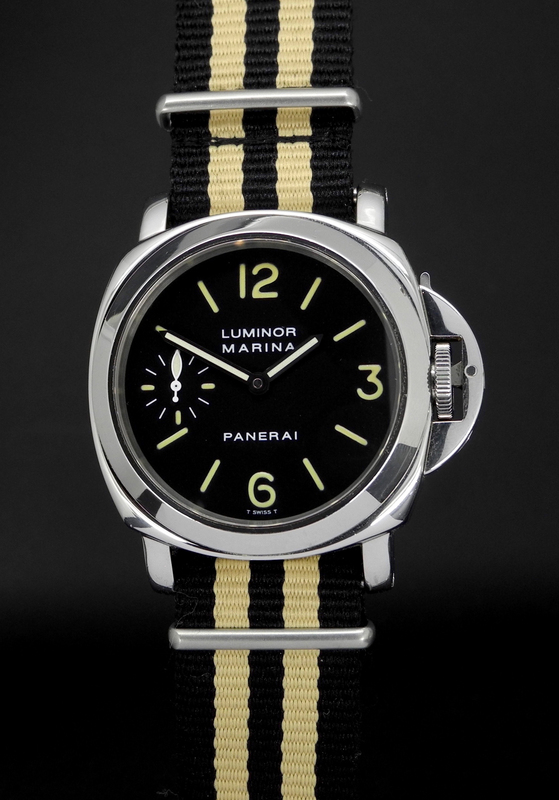 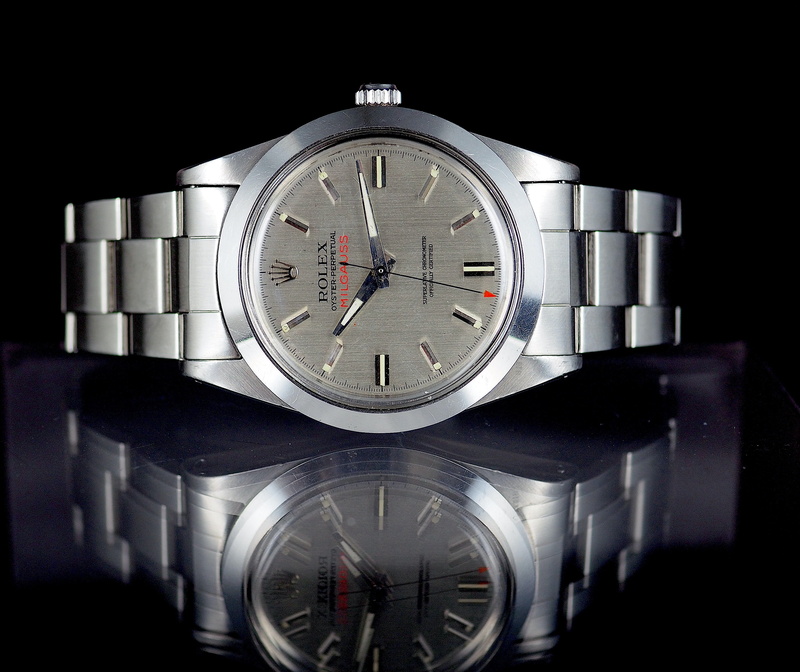 This watch has never met a polishing wheel and retains its factory sharp edges and is very clean all-around. 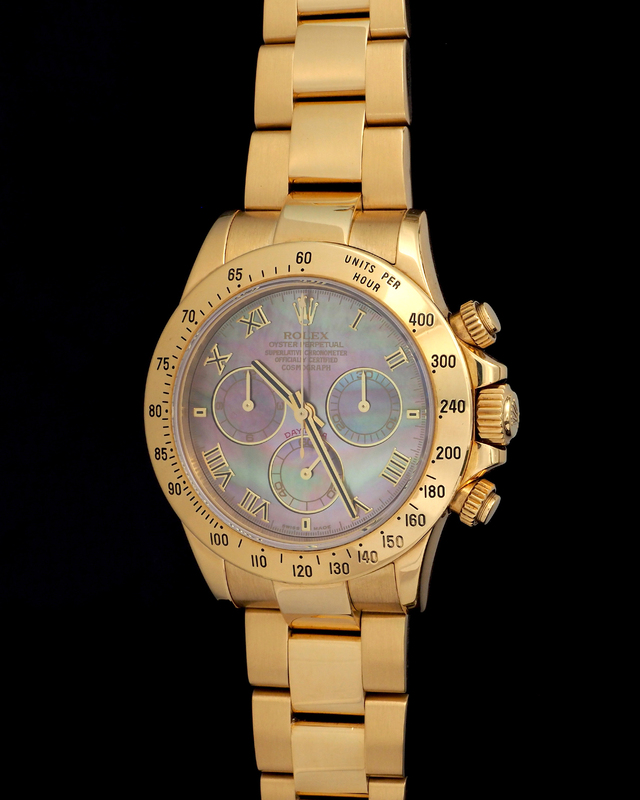 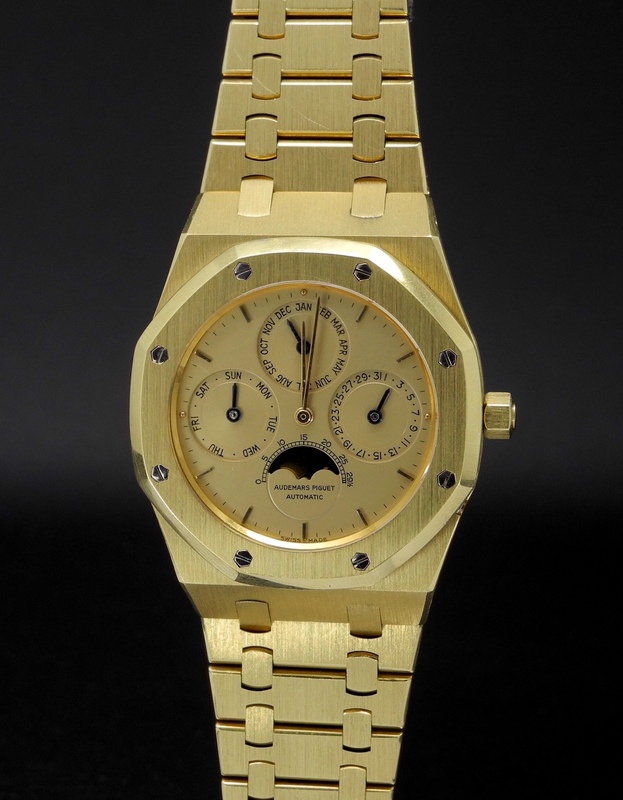 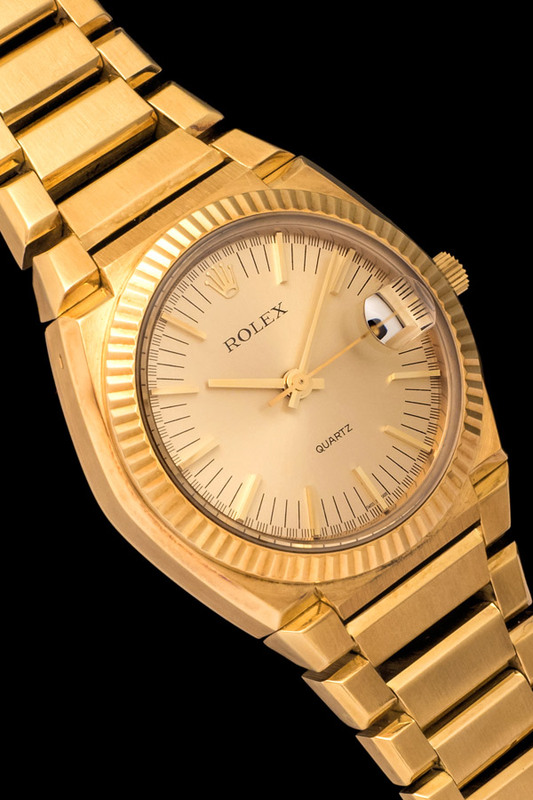 Remarkably, this watch weighs 207 grams – ALMOST HALF A POUND OF 18K GOLD. 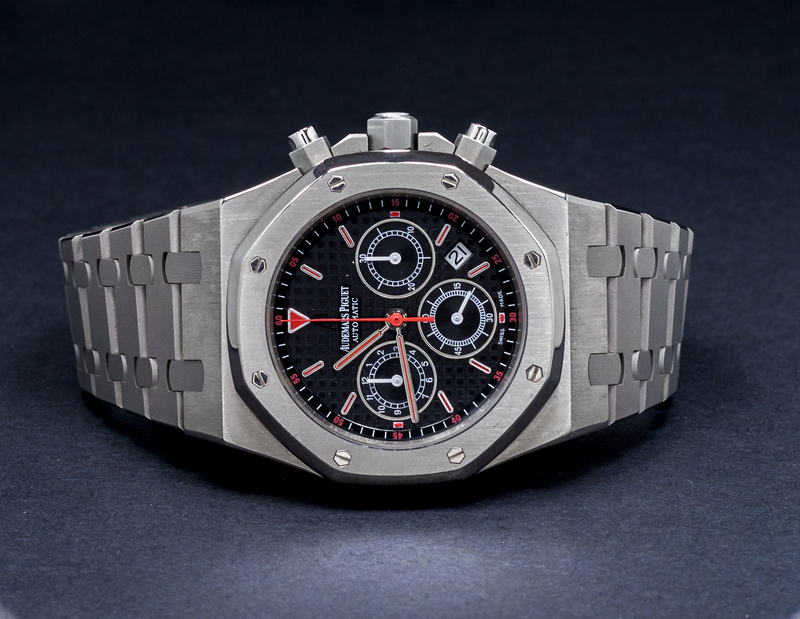 Talk about substantial. 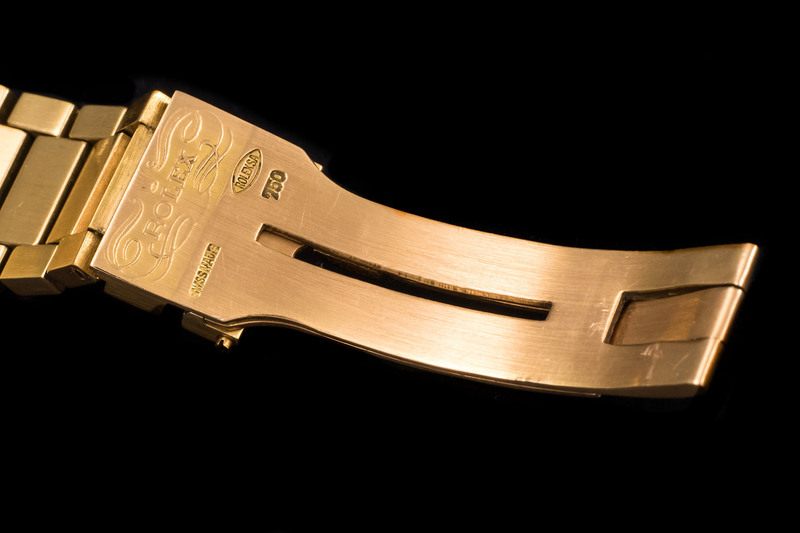 The Beta 21’s case is 18k yellow gold with dimensions of 40mm wide by 40.1mm long by 12.5mm thick. 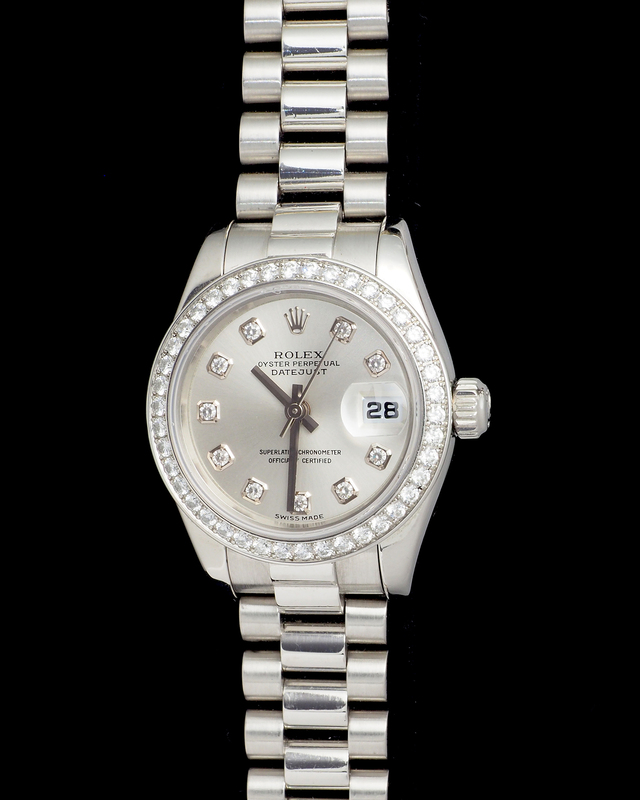 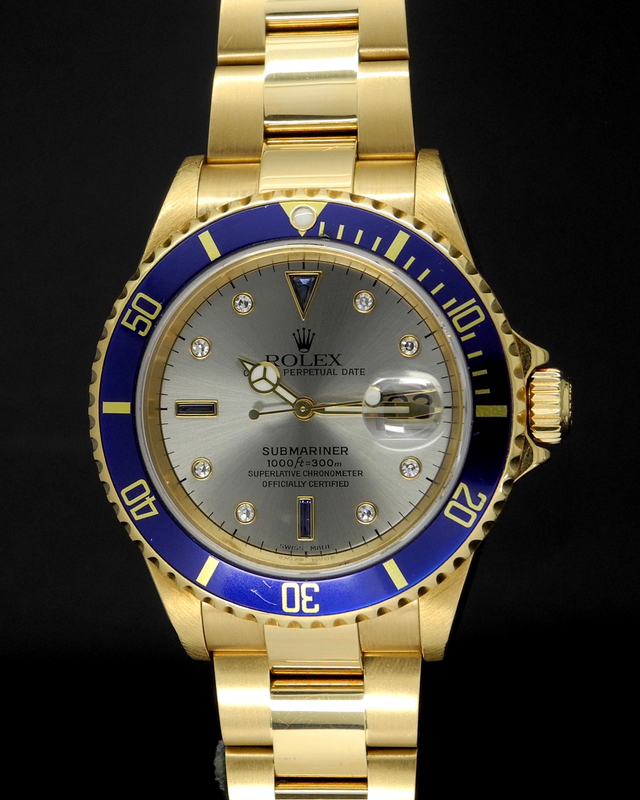 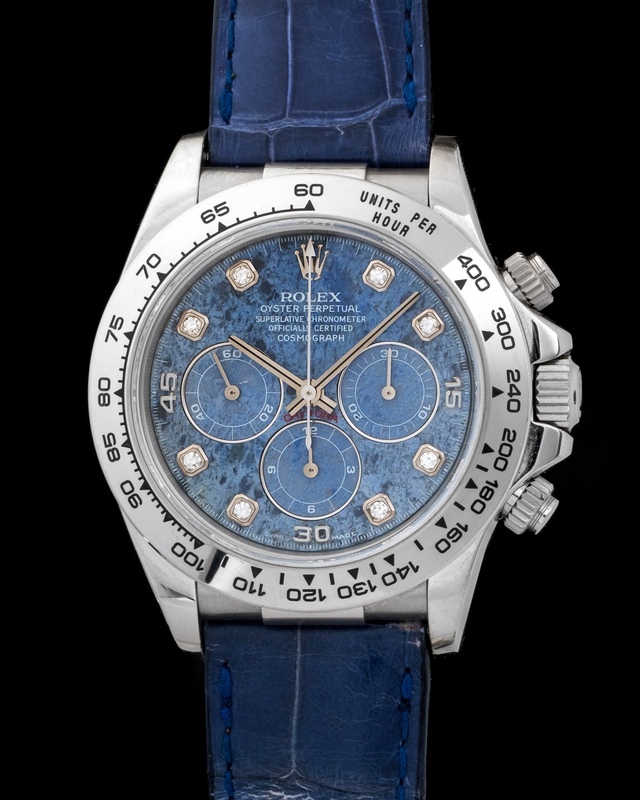 The crystal is sapphire and this was Rolex’s first watch ever with a sapphire crystal. 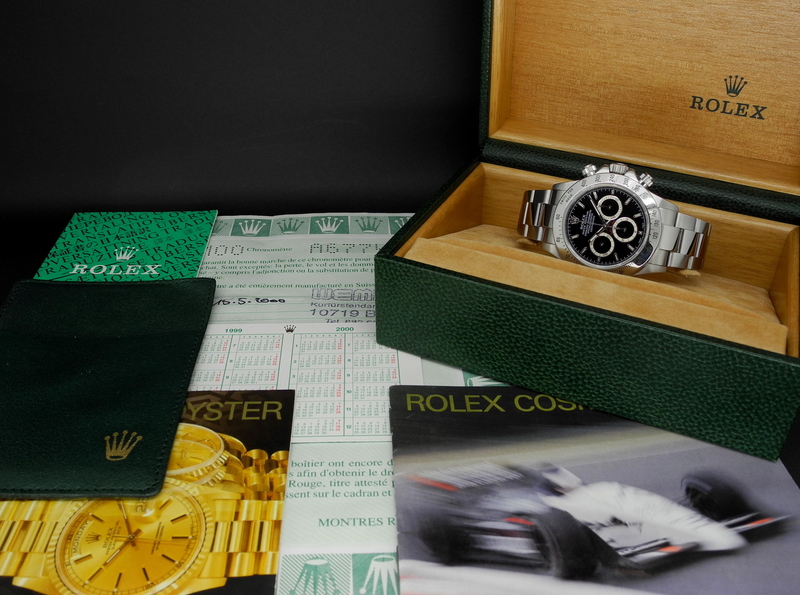 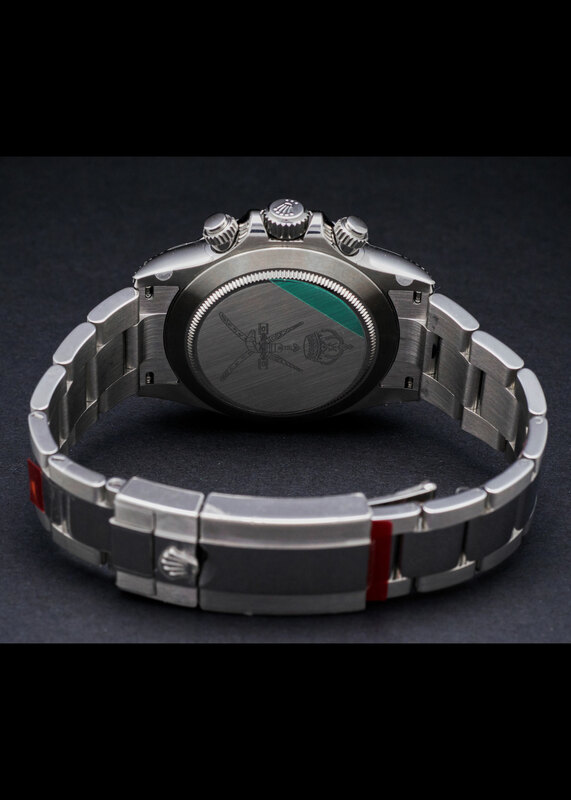 Not surprisingly, given the revolutionary technology encased inside, Rolex designed and produced a rather futuristic looking, geometrical watch case. 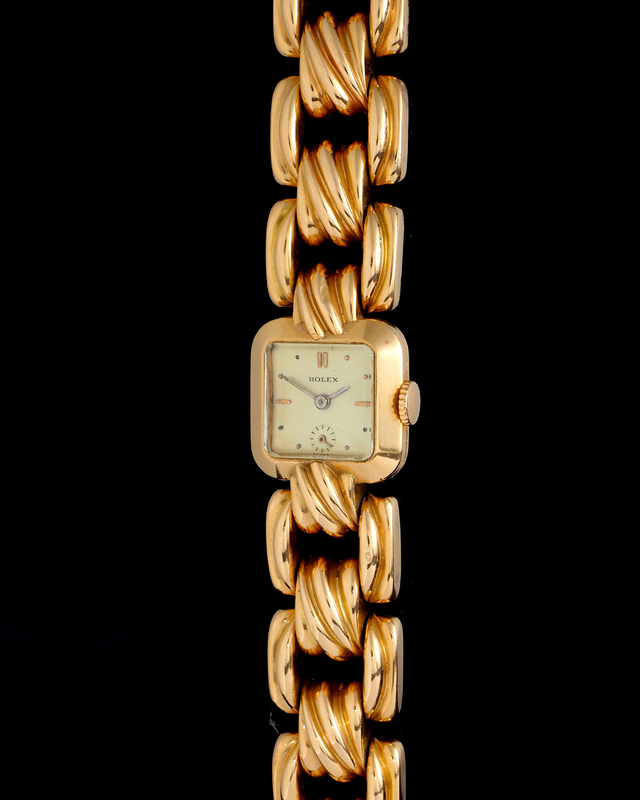 The bracelet is integral to the case. 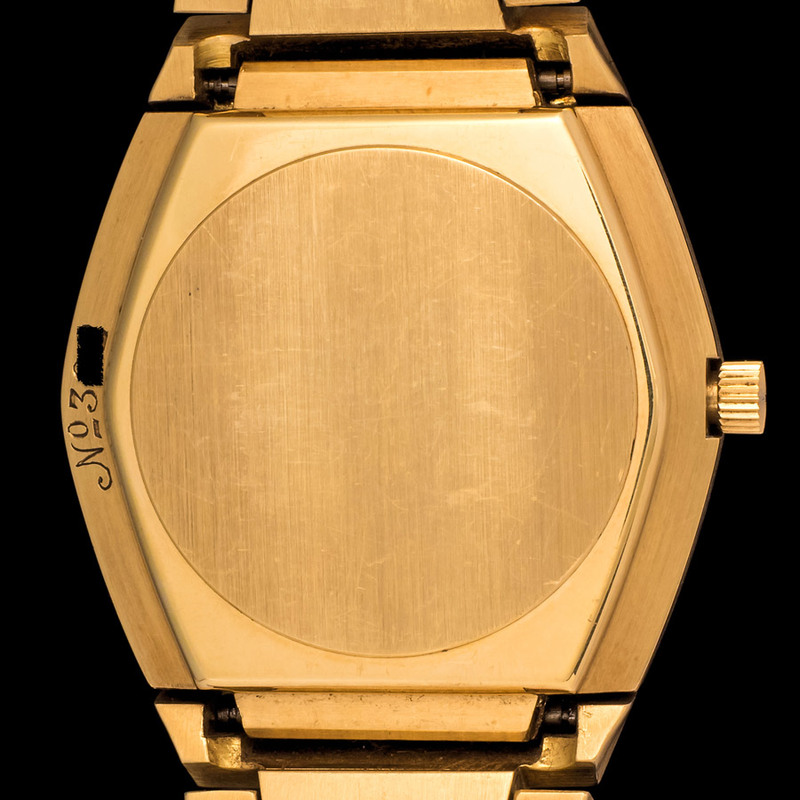 The center of the watch, looking down from above, is round, but the case ends in a beveled edge, from which a hooded lug emerges. 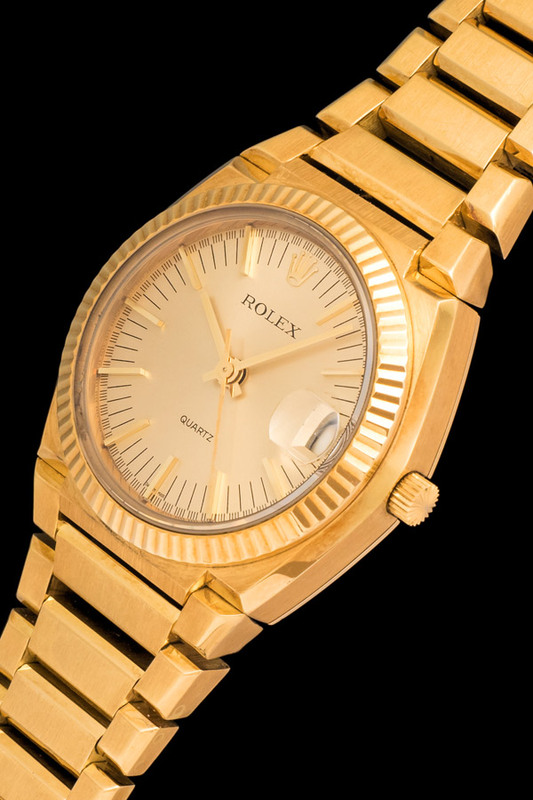 The bezel is fluted. 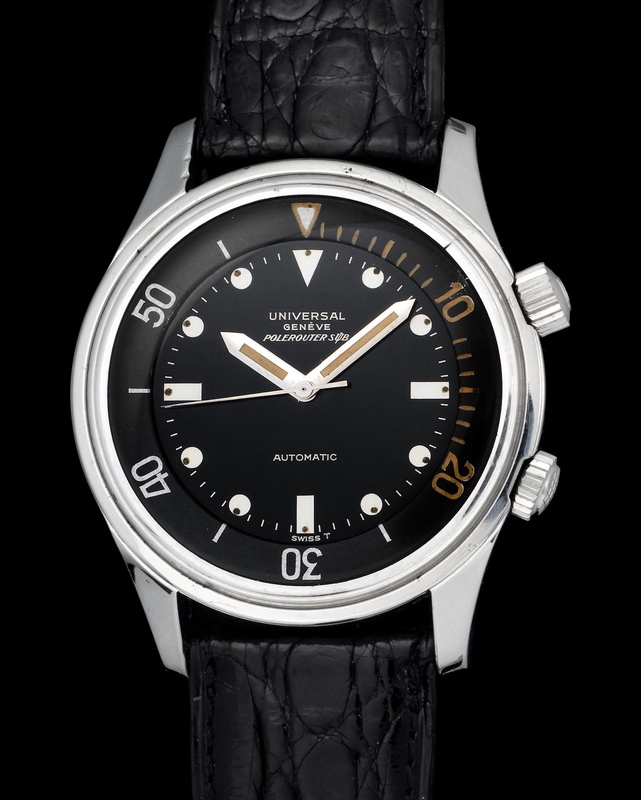 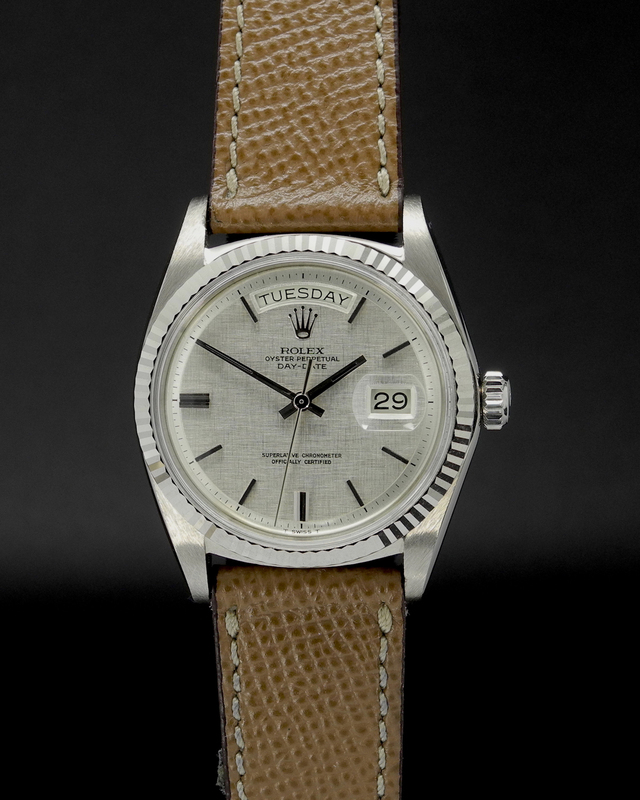 Dial is the rarer silver color (versus the more common champagne) with applied hour markers, minutes and 1/5 seconds chapter and date at 3 o’clock. 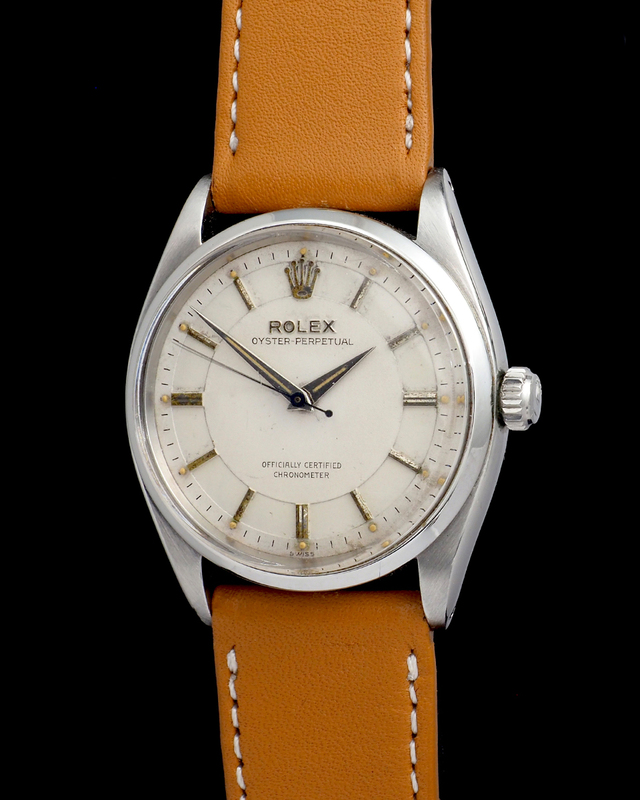 The dial is in perfect original condition. 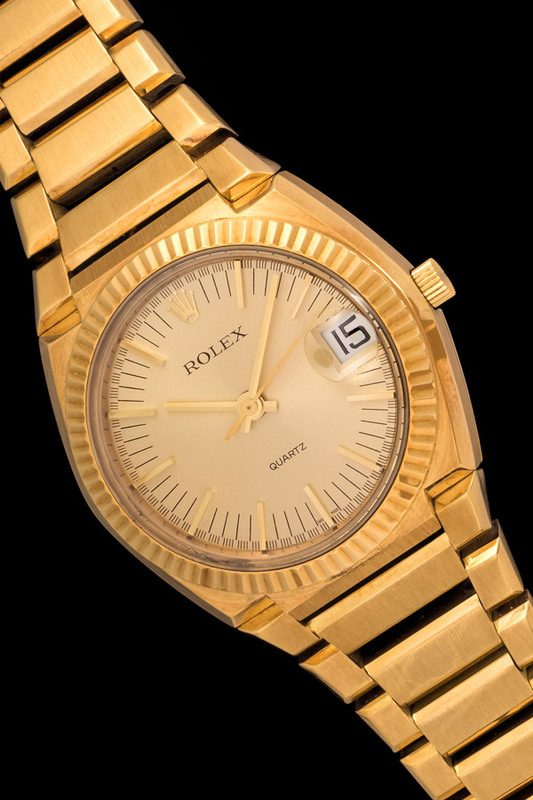 The aforementioned movement has 13 jewels and provides a sweeping seconds hand despite the fact that a quartz crystal regulates the timekeeping. 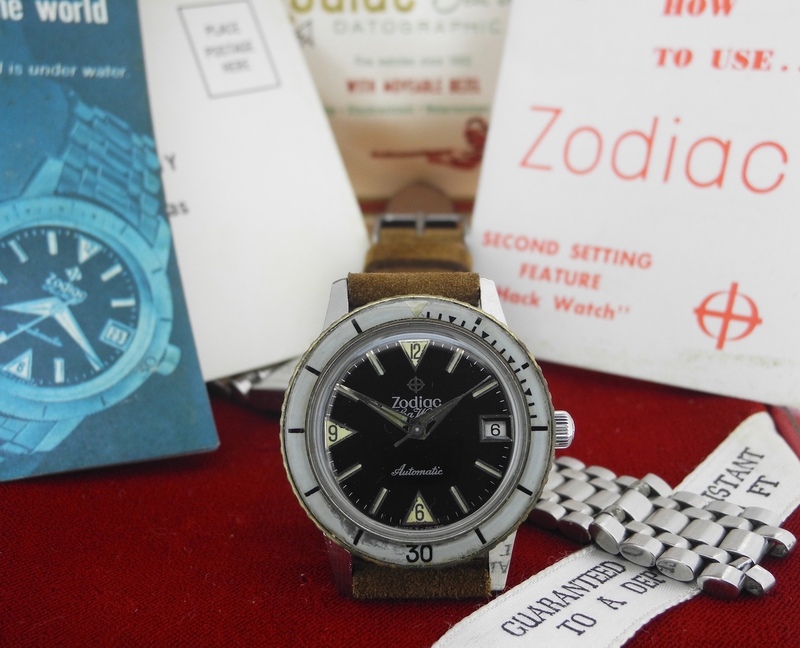 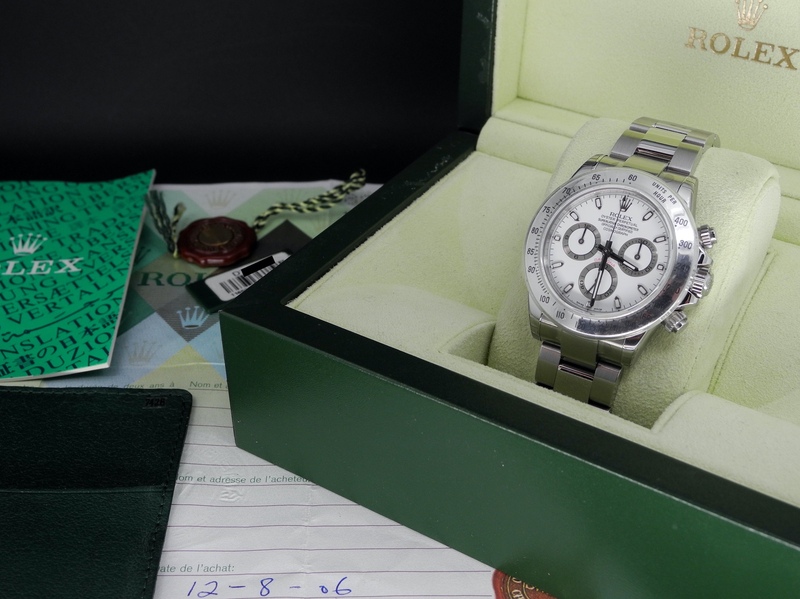 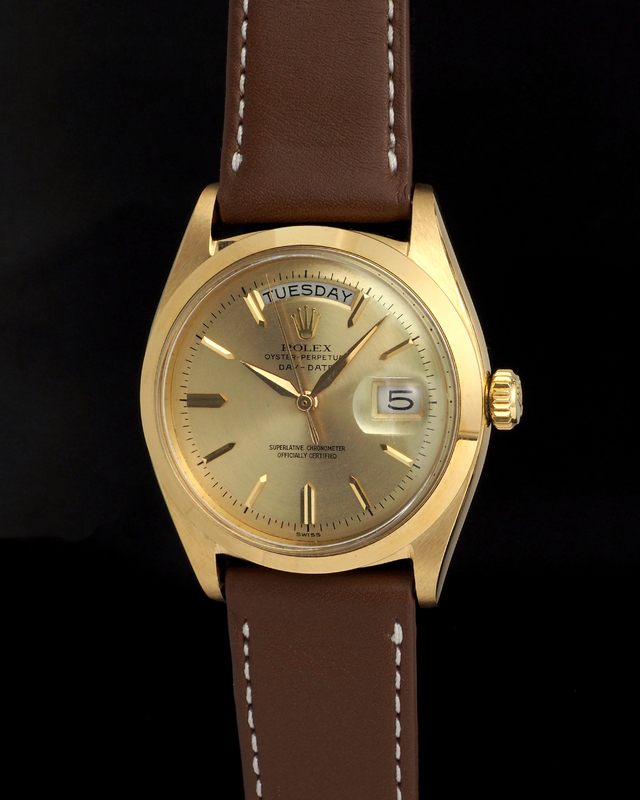 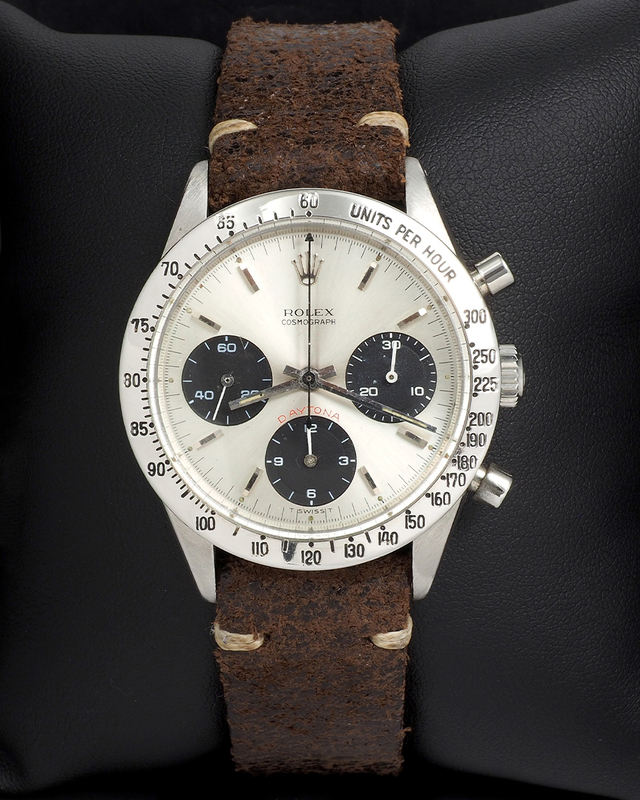 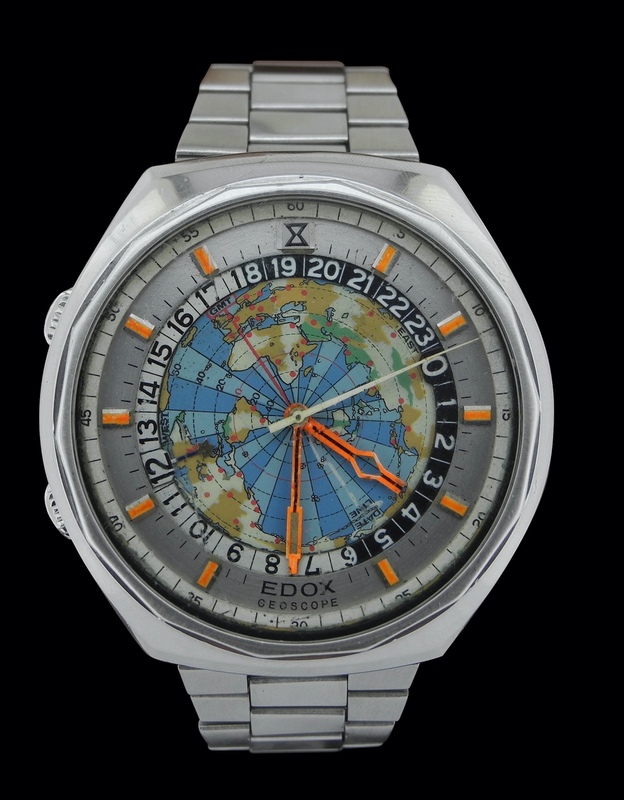 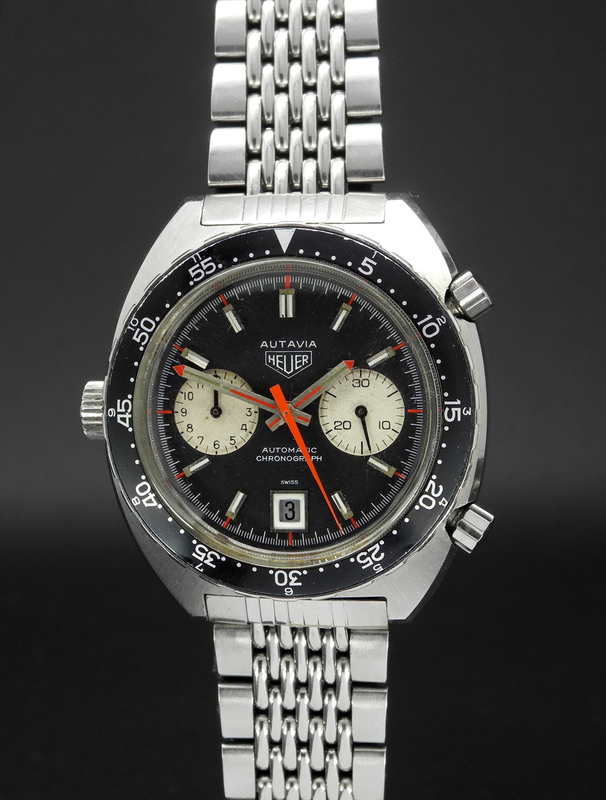 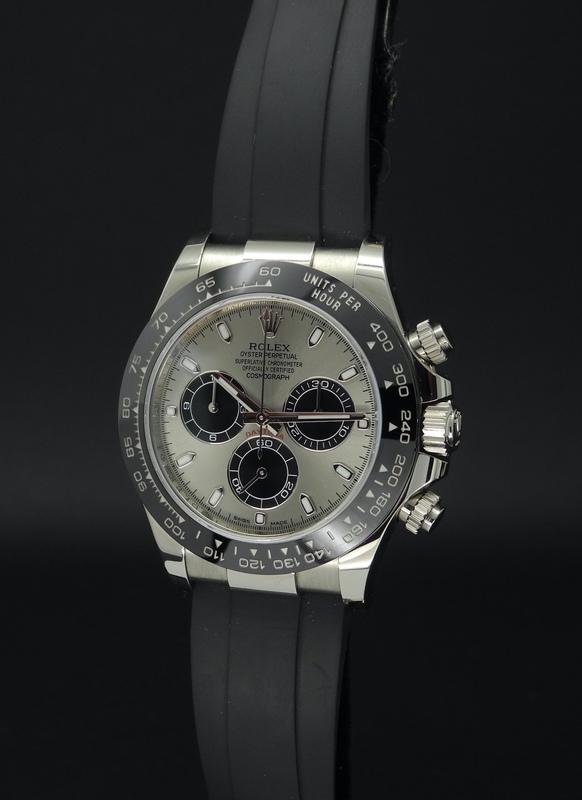 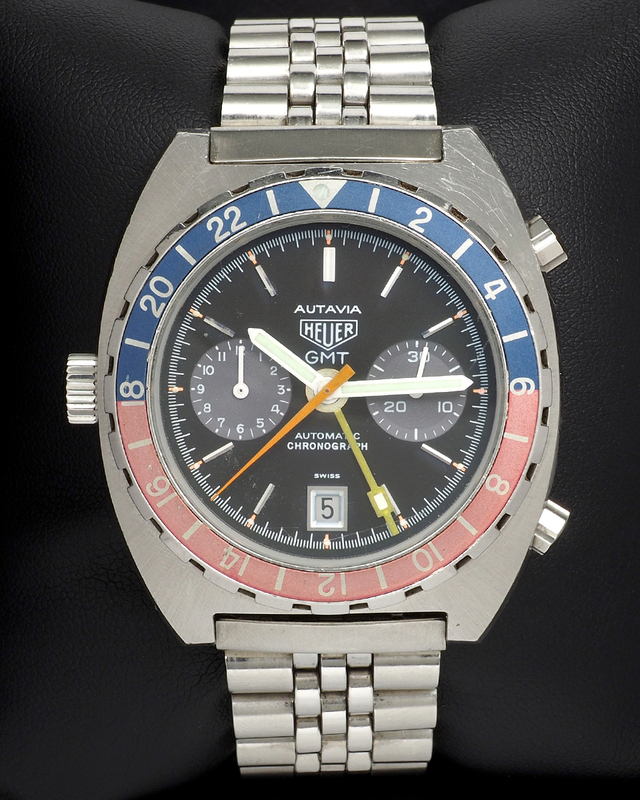 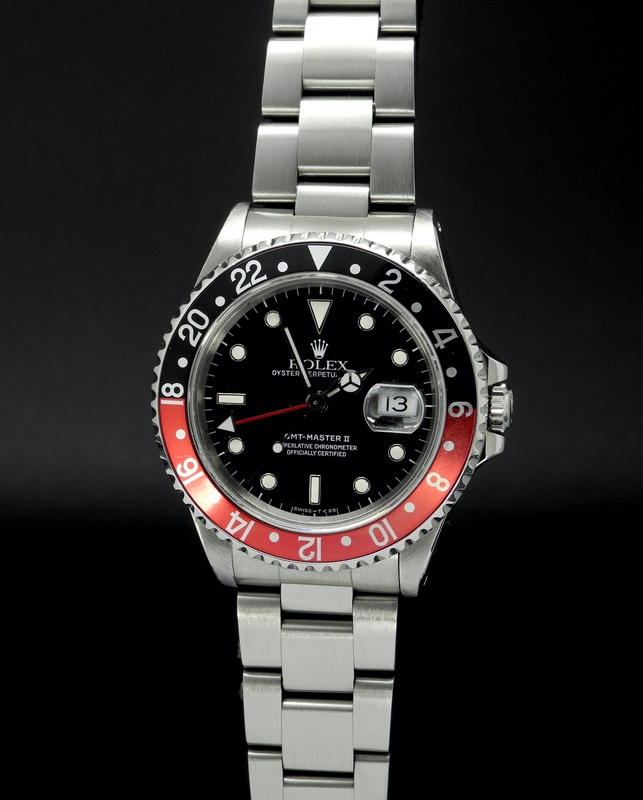 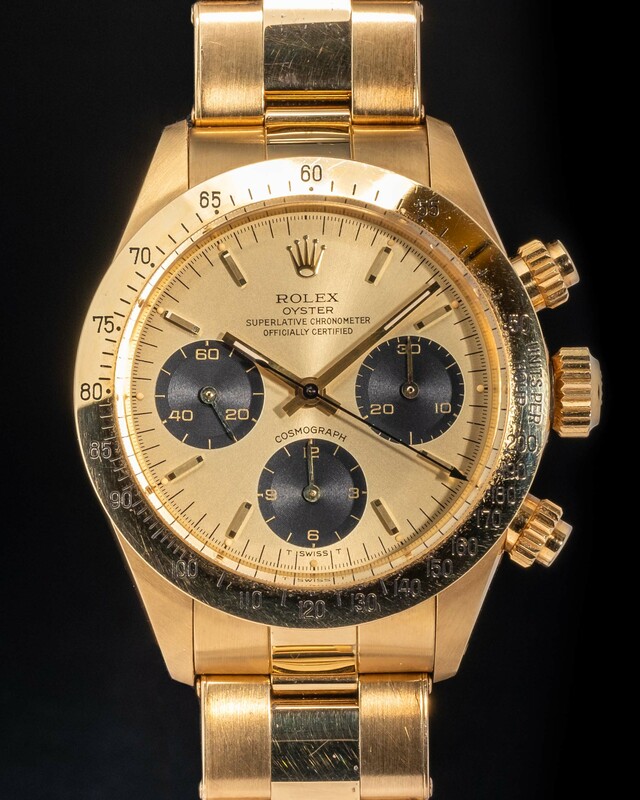 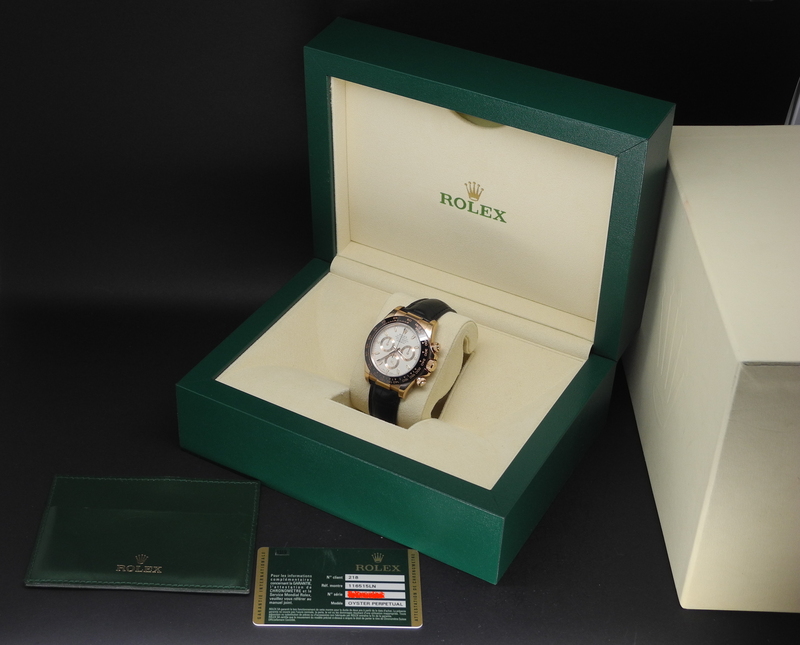 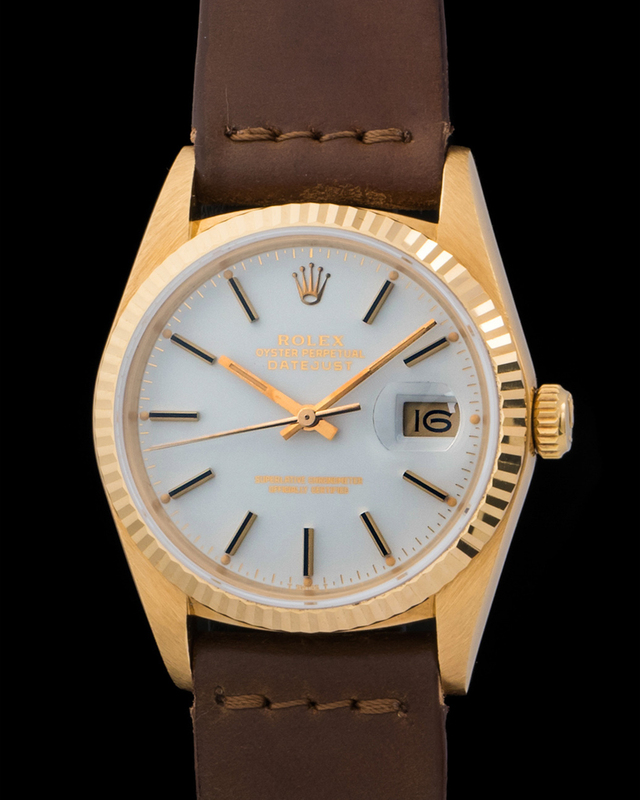 This is watch 65X and it’s worth noting that the Rolex Beta 21 had its own unique set of serial numbers. 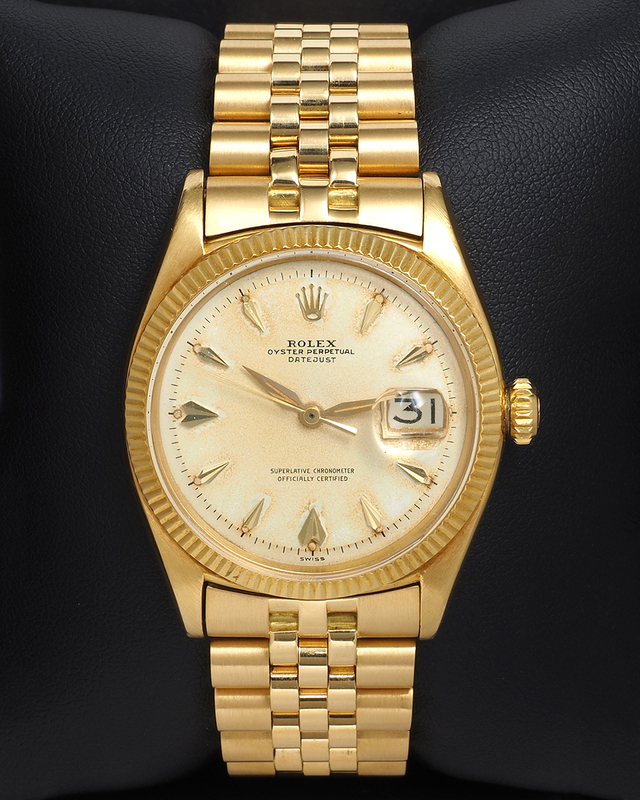 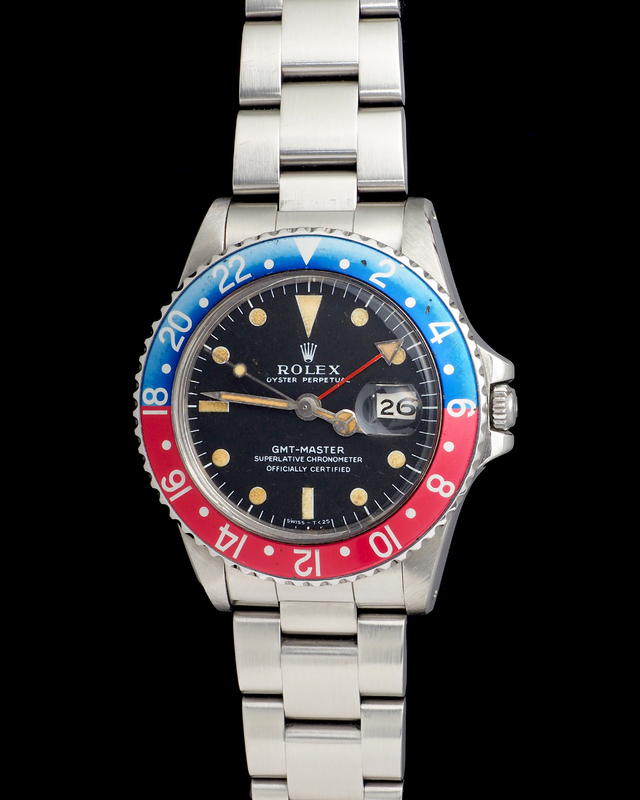 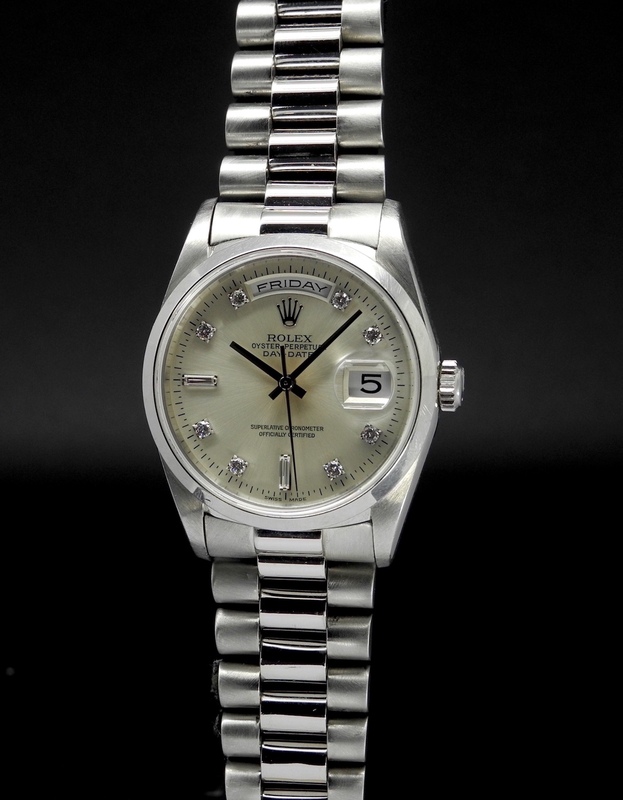 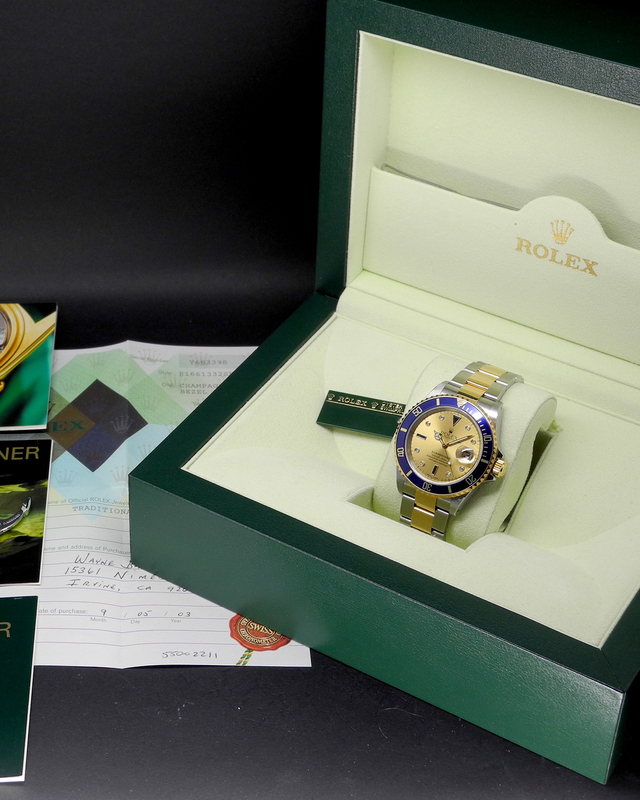 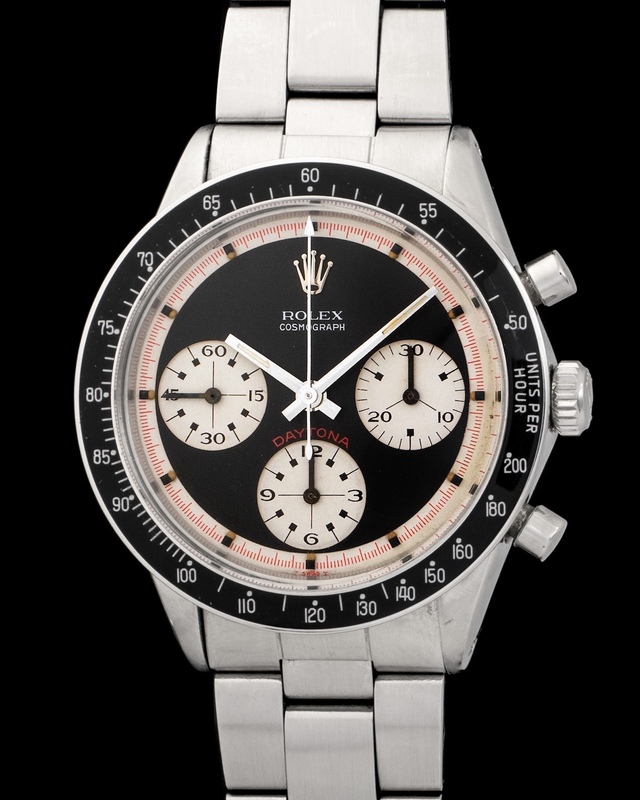 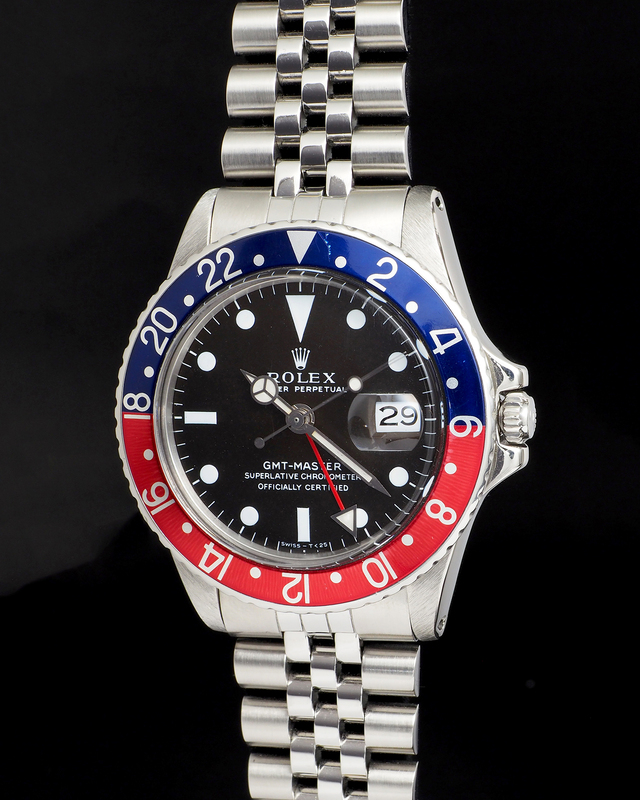 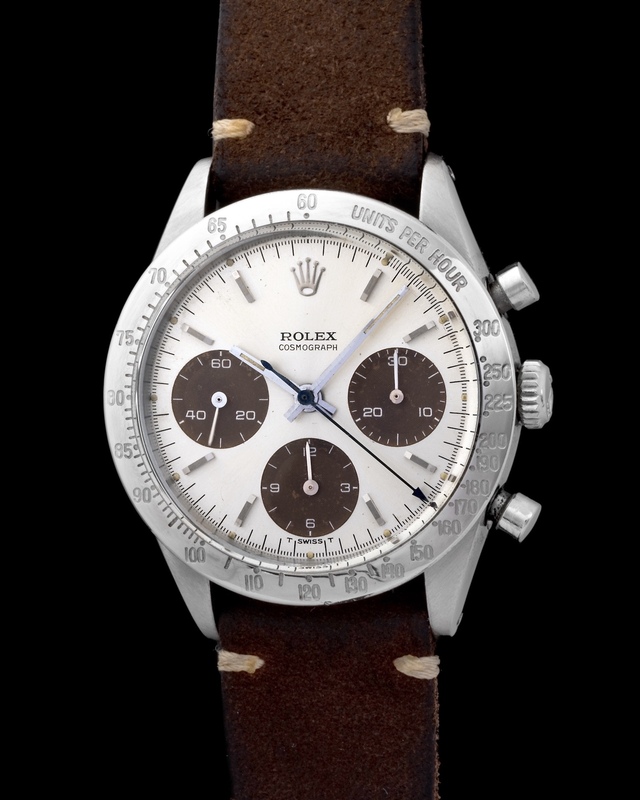 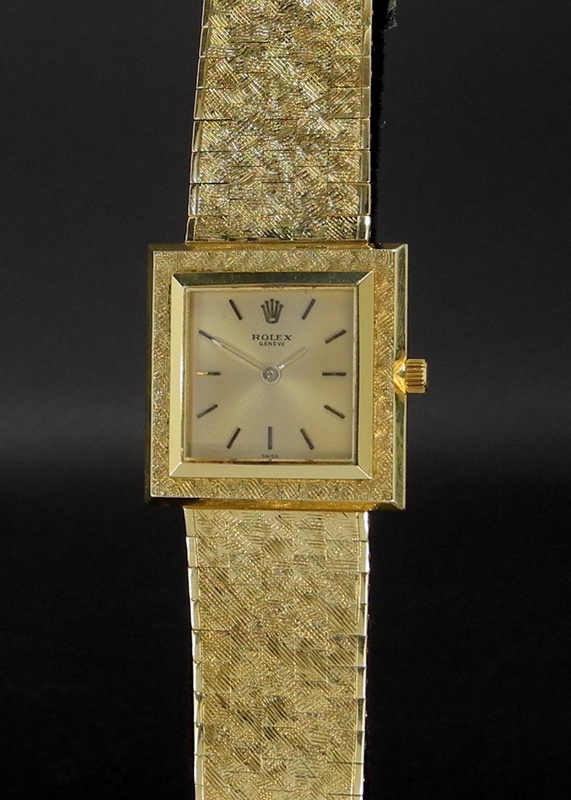 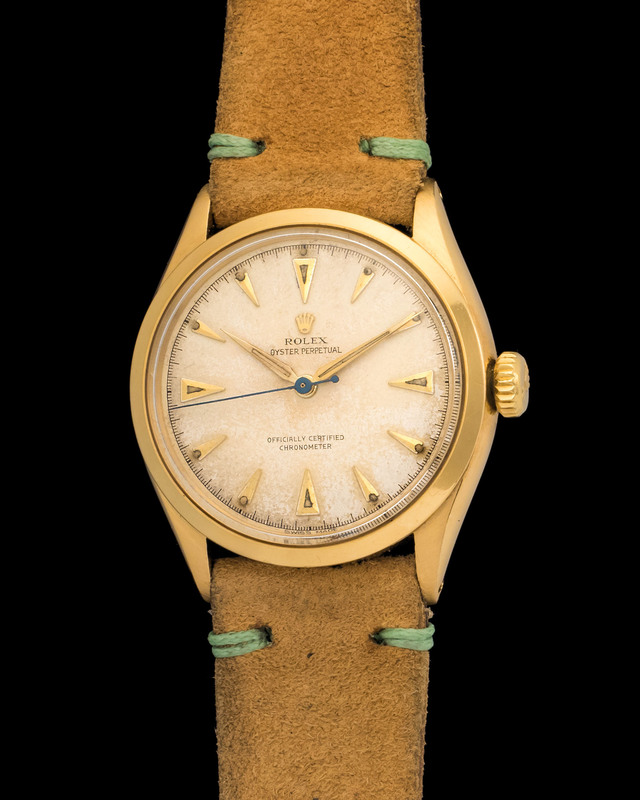 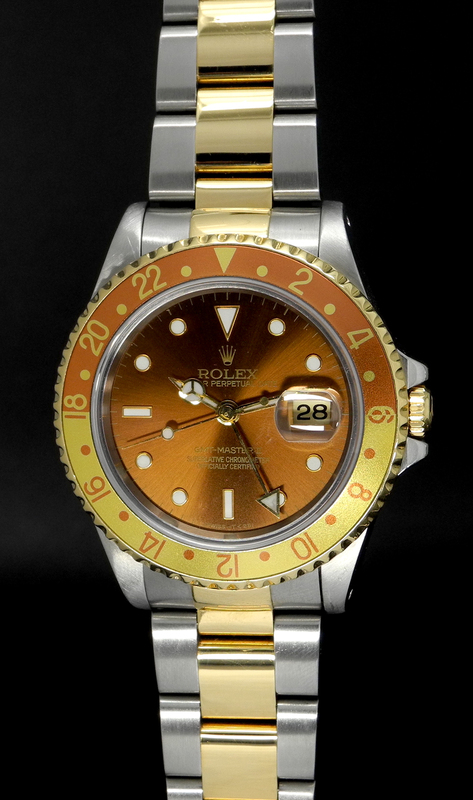 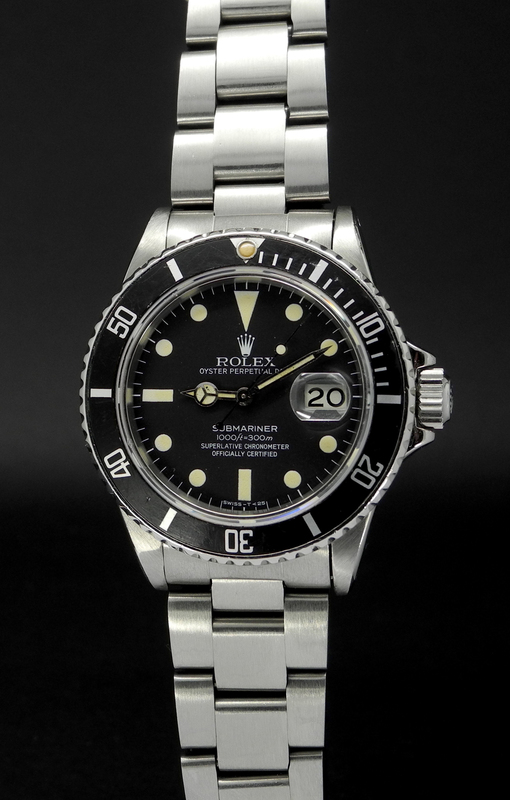 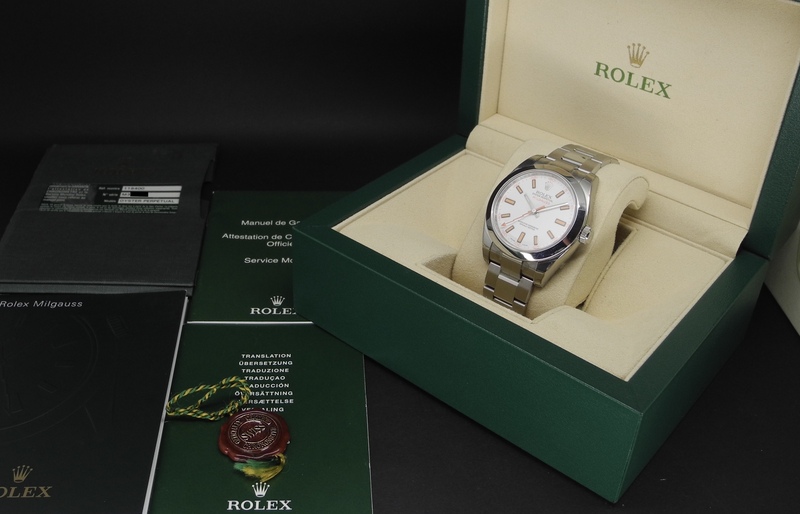 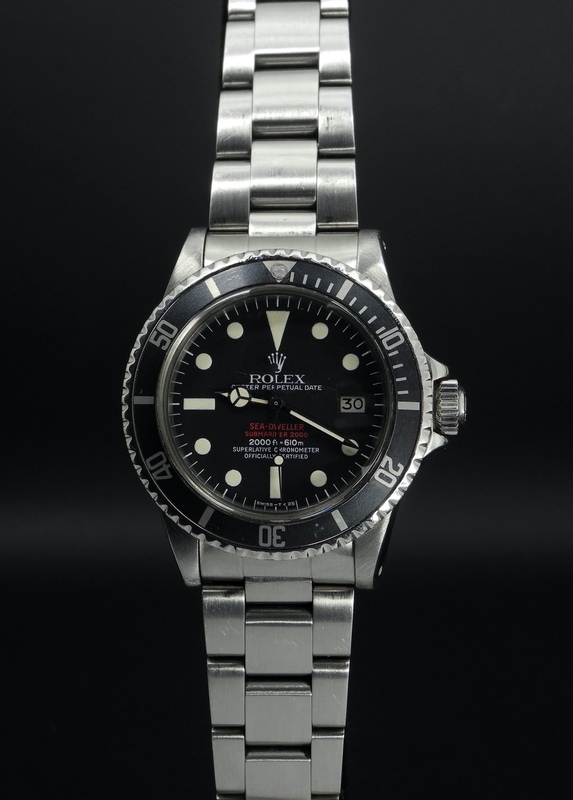 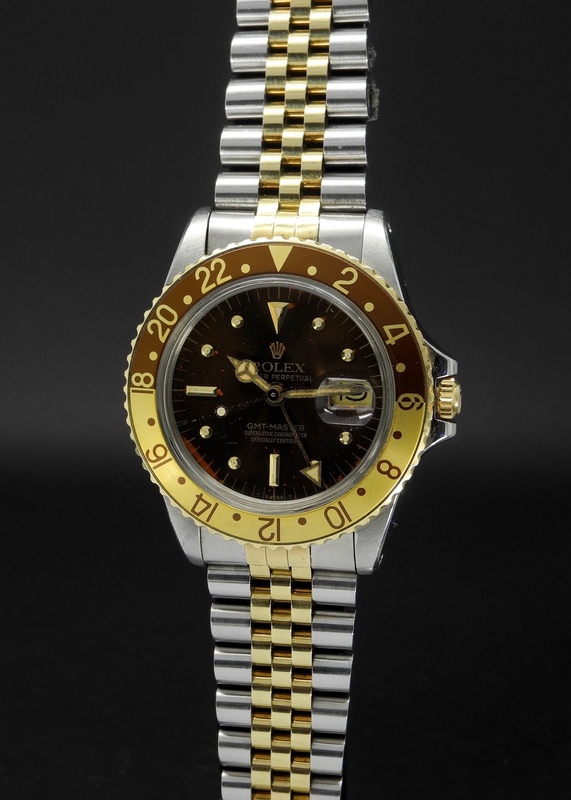 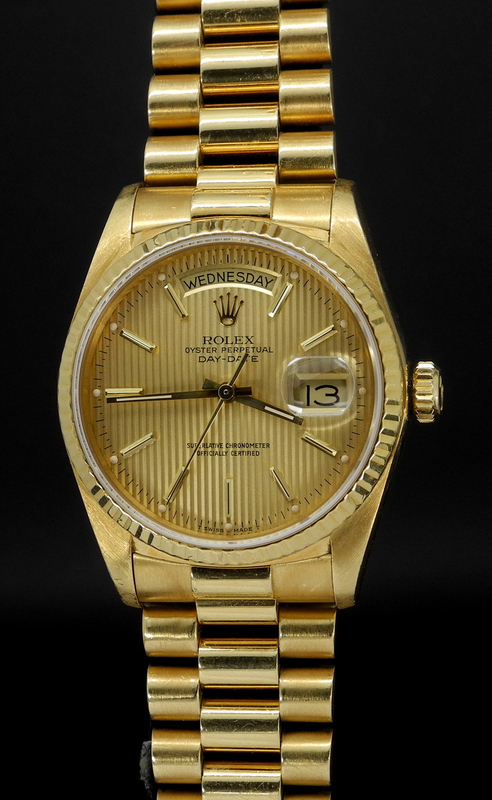 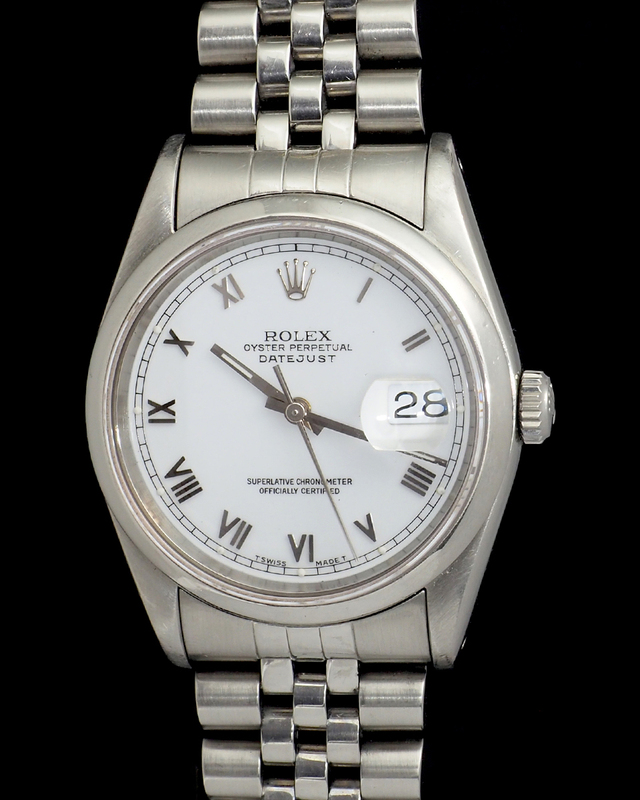 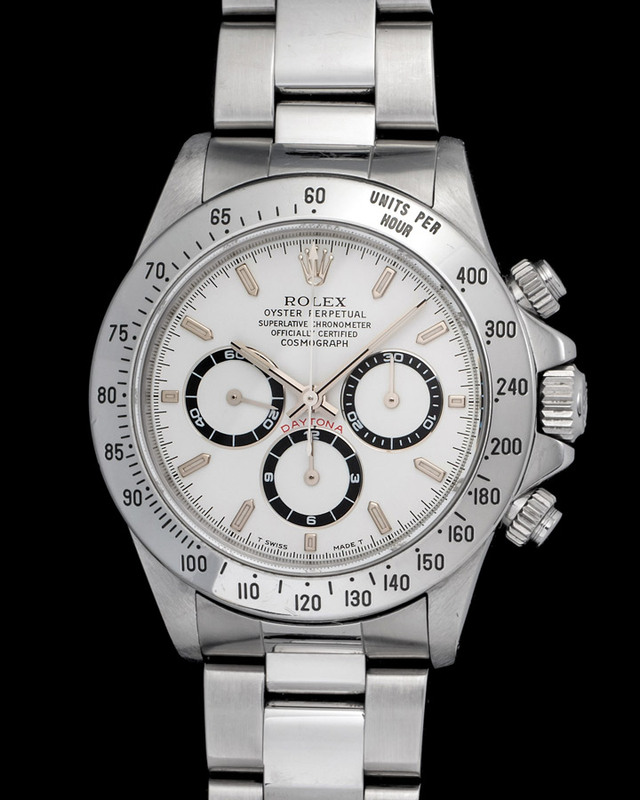 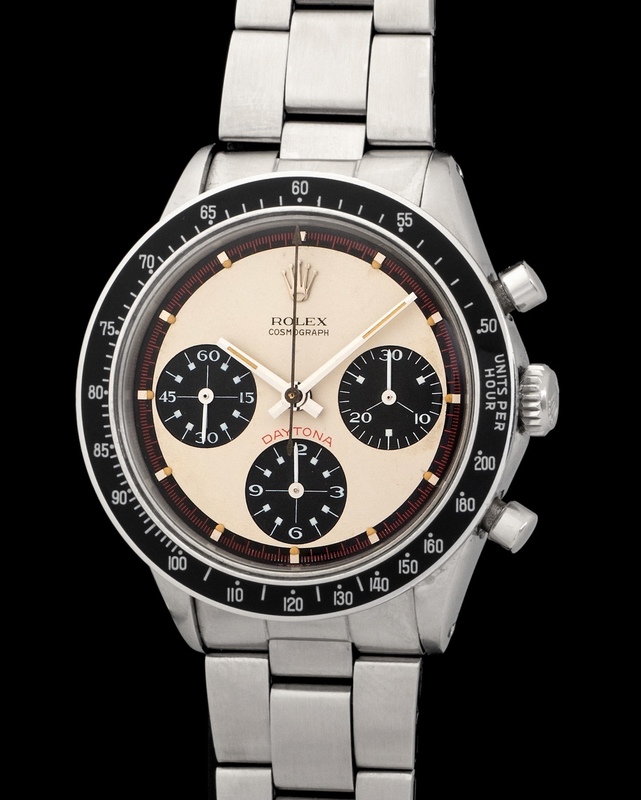 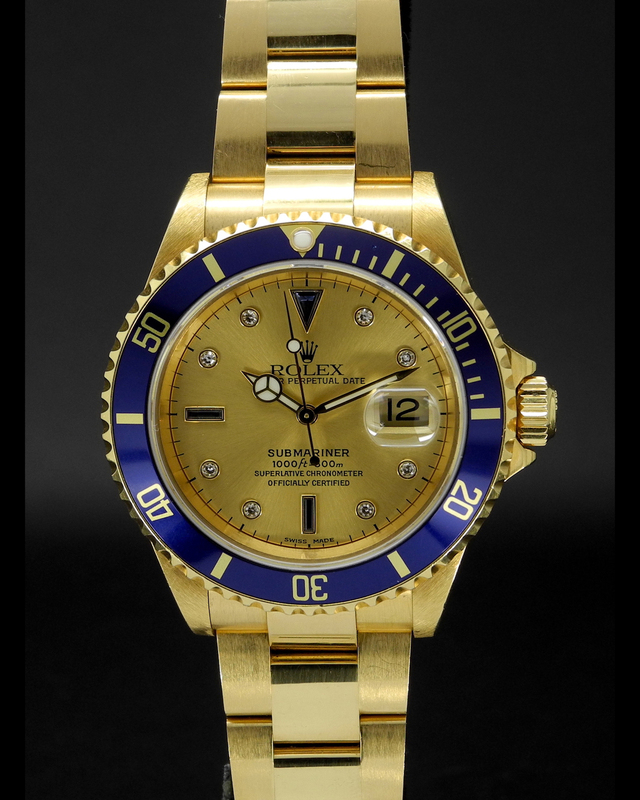 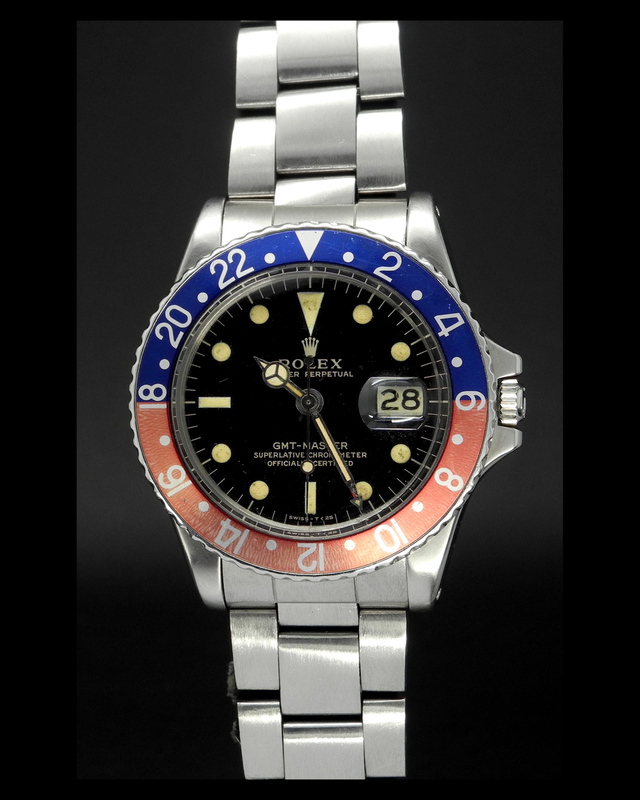 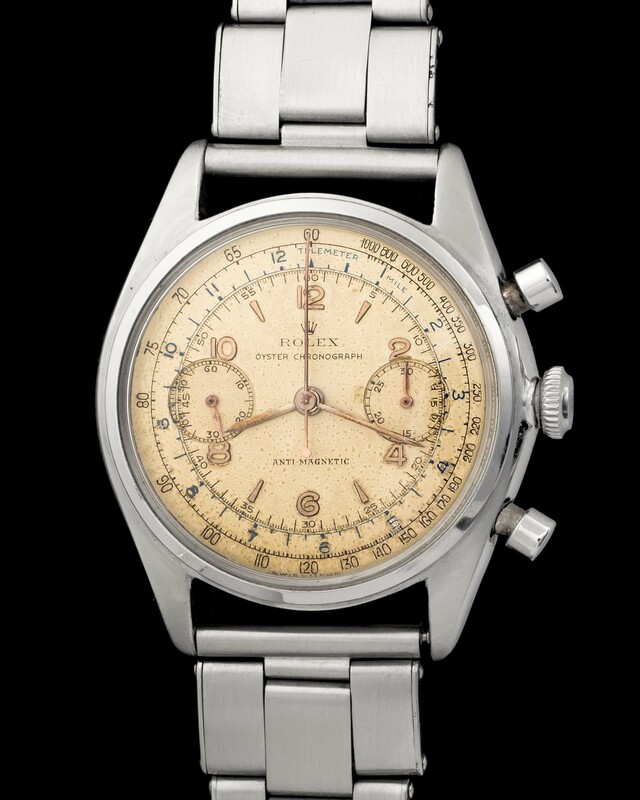 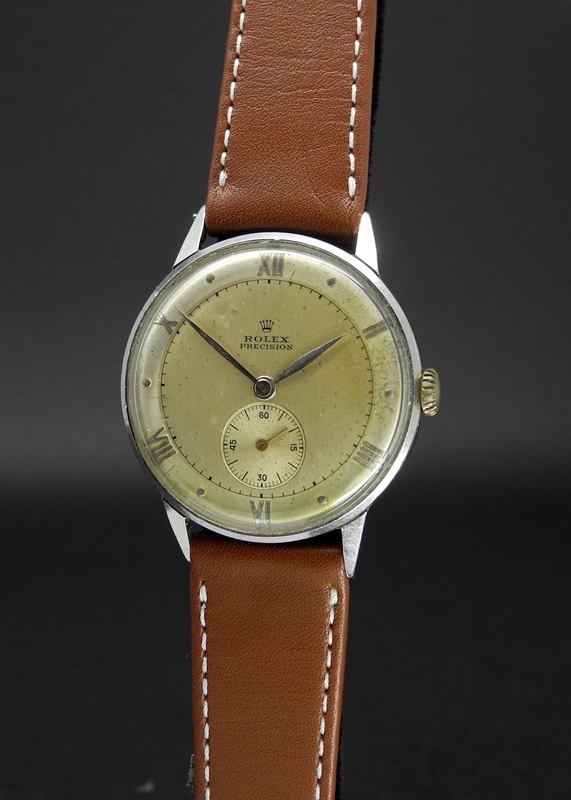 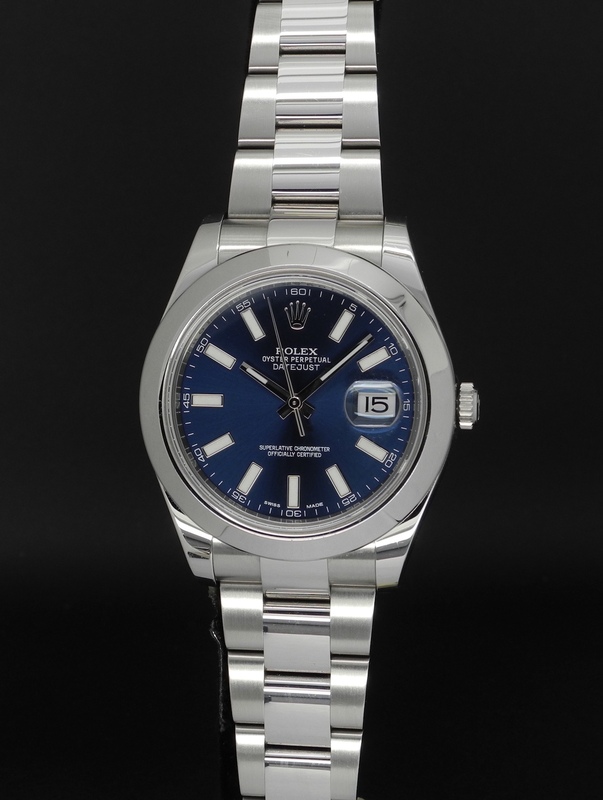 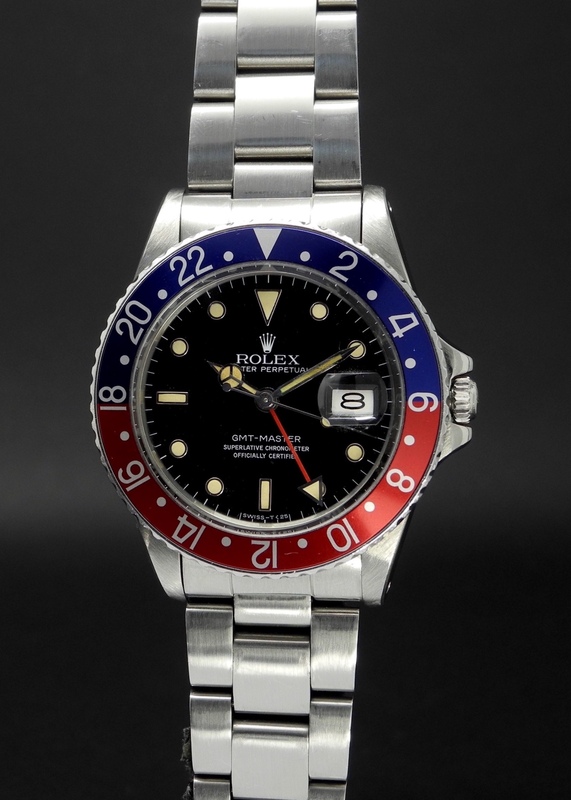 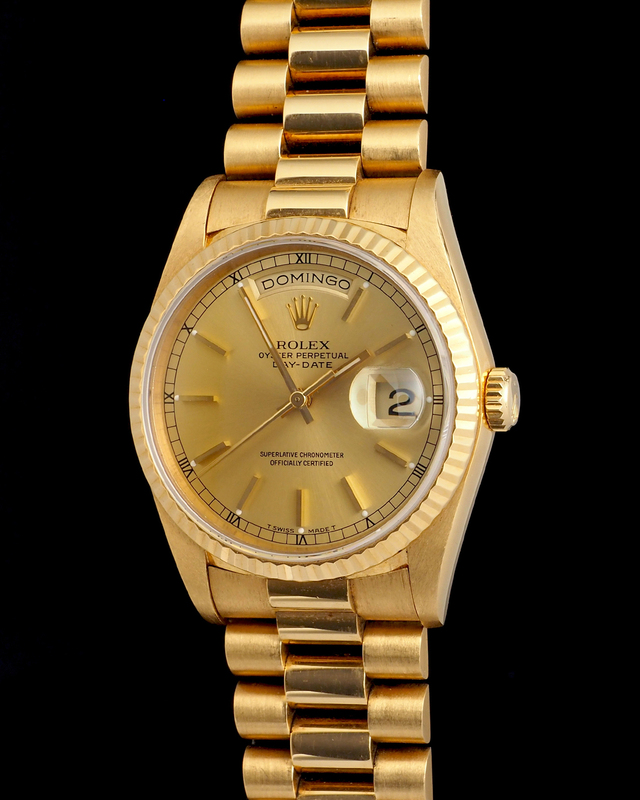 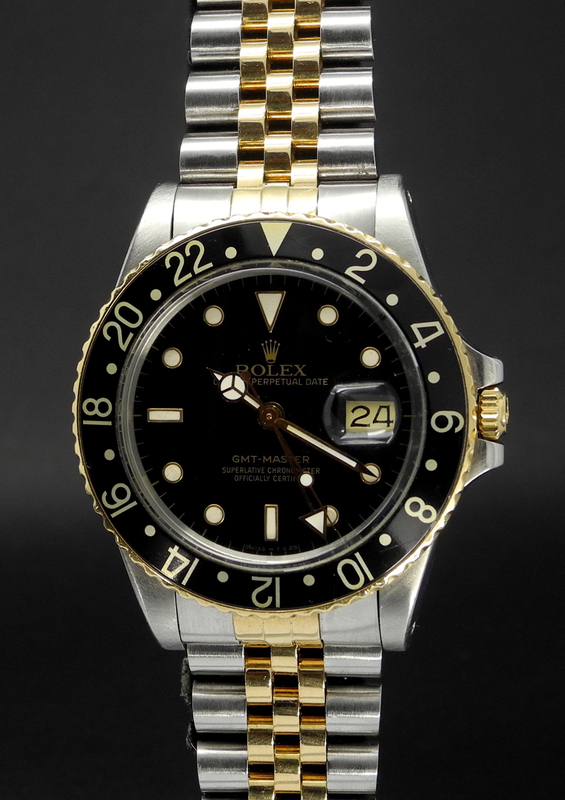 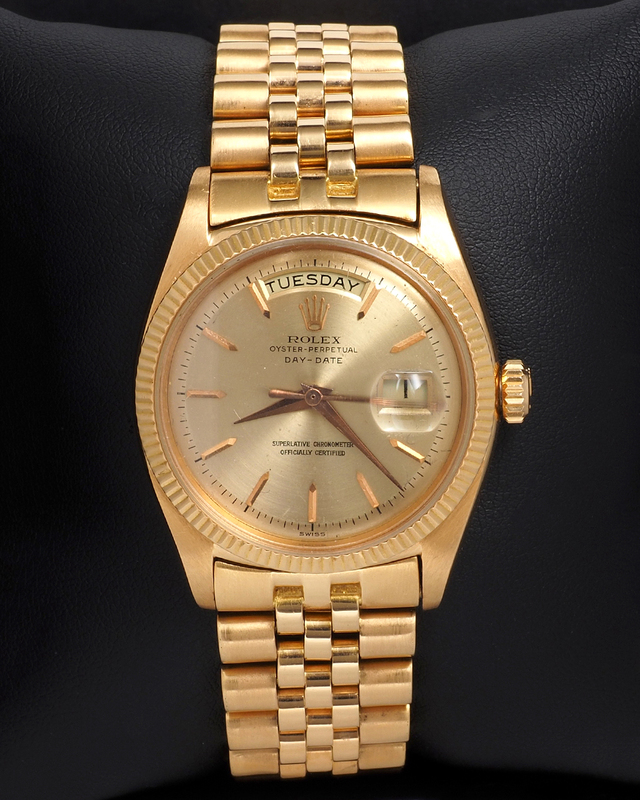 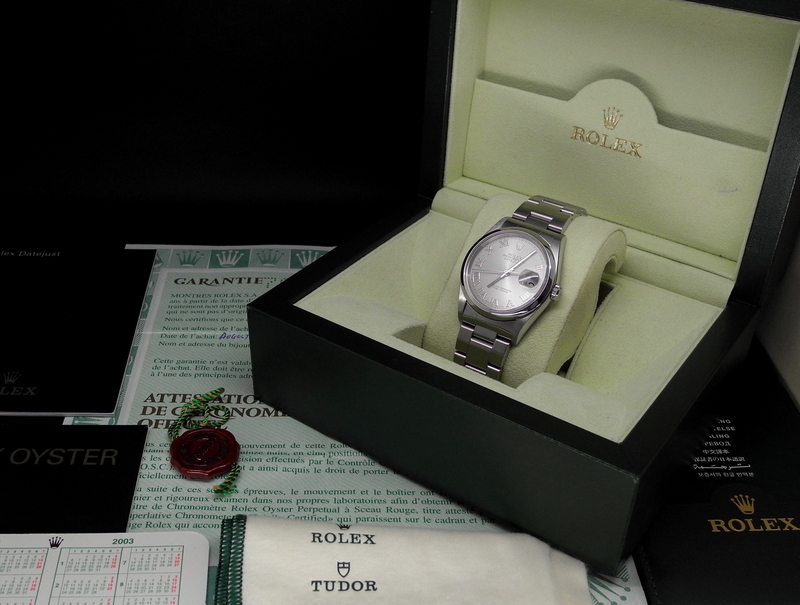 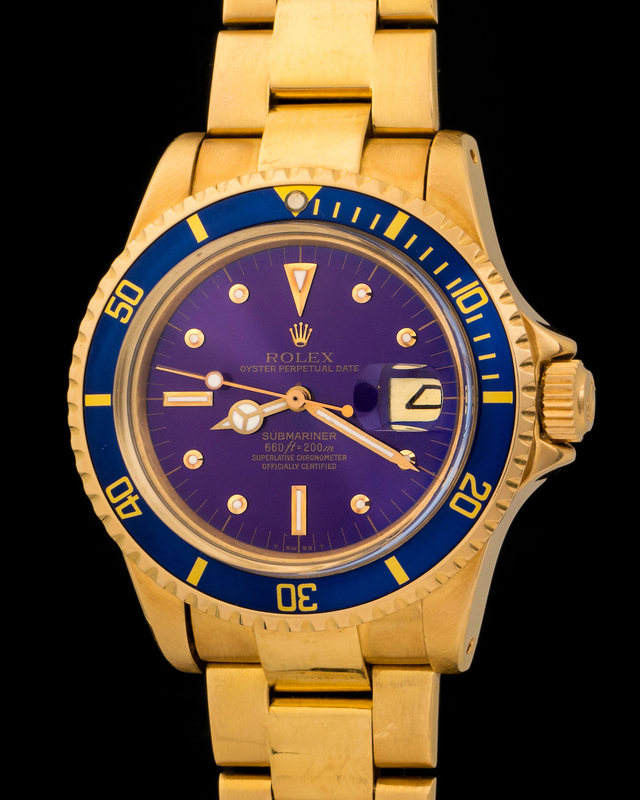 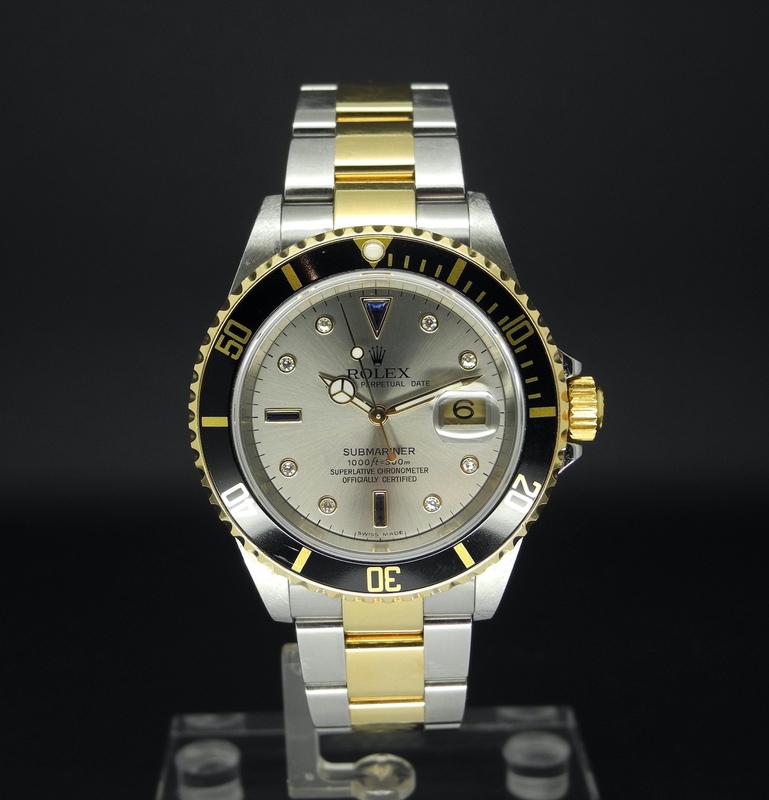 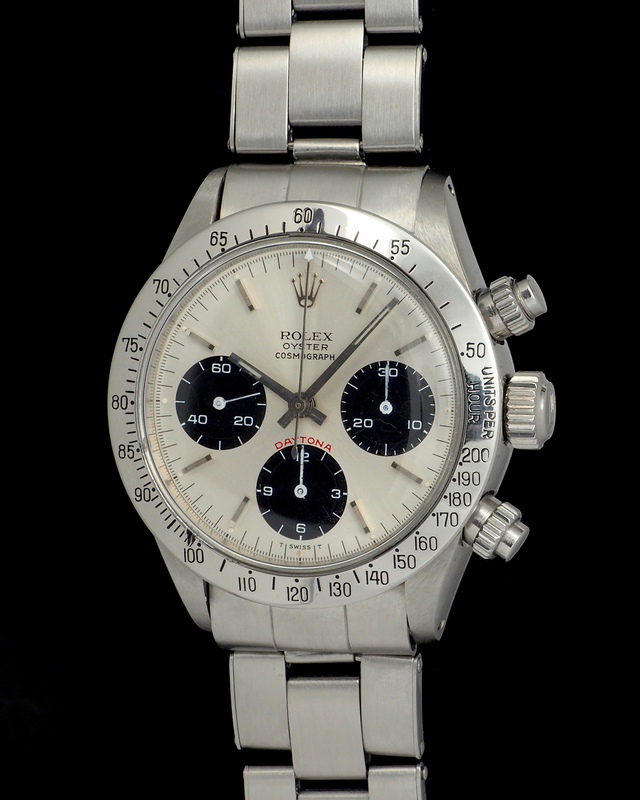 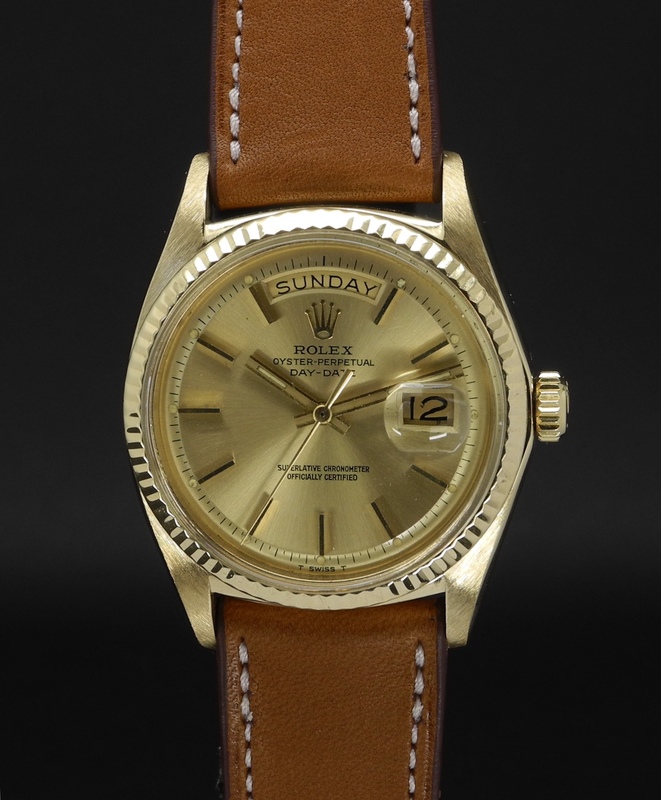 This is a super clean example of a rare and historically important Rolex watch.